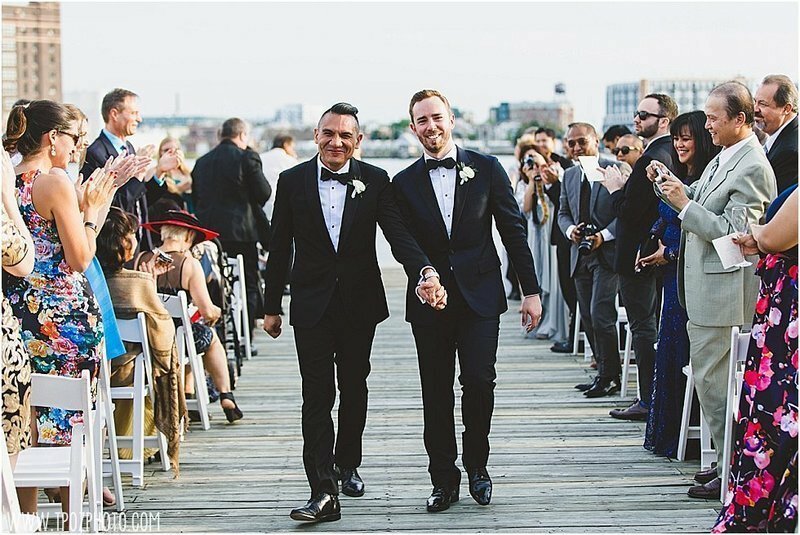 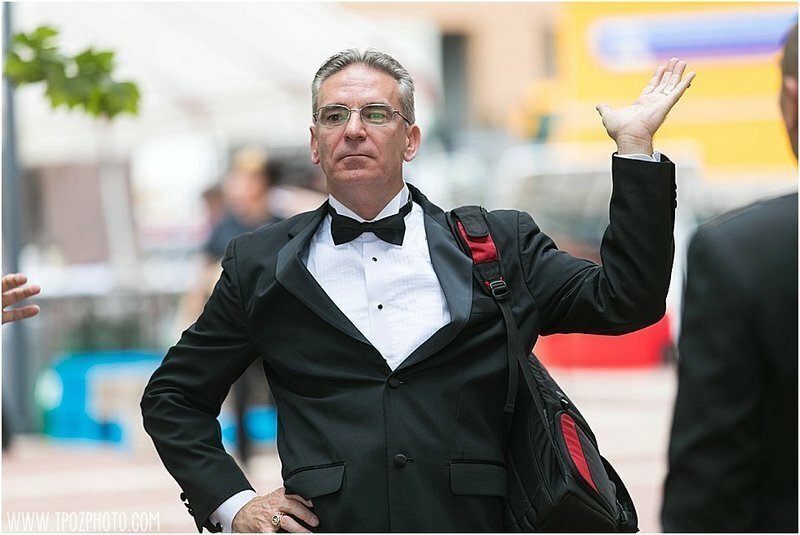 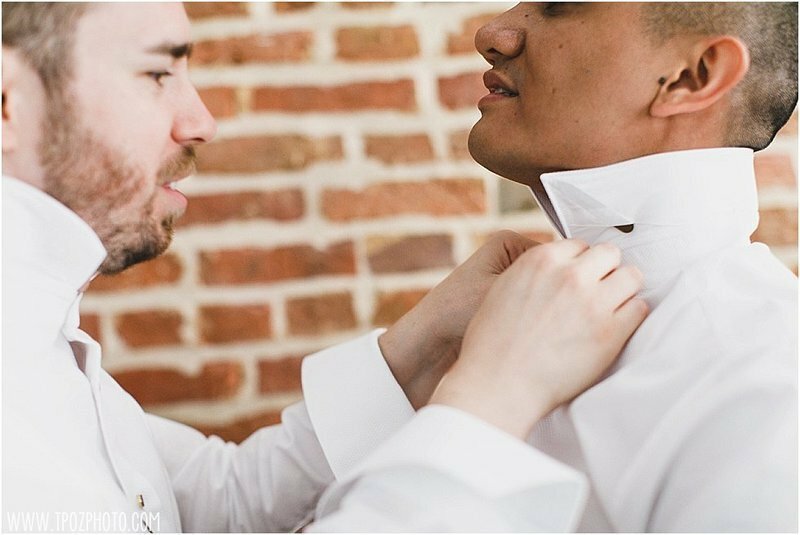 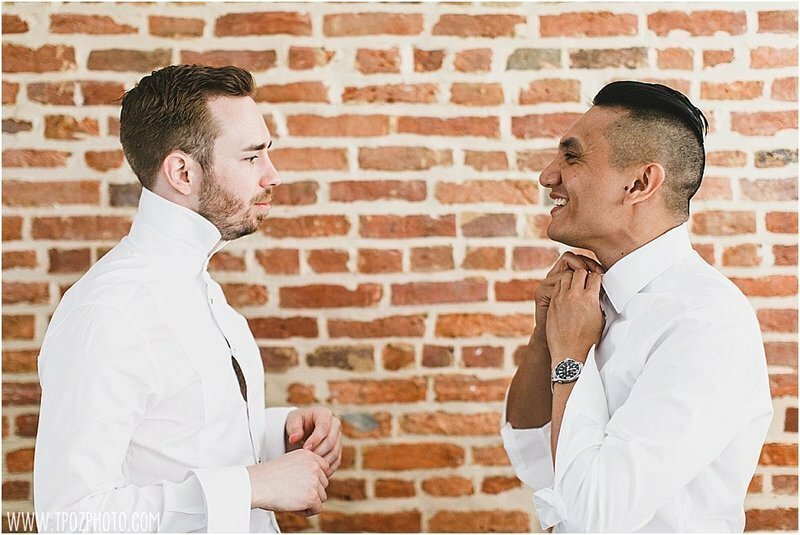 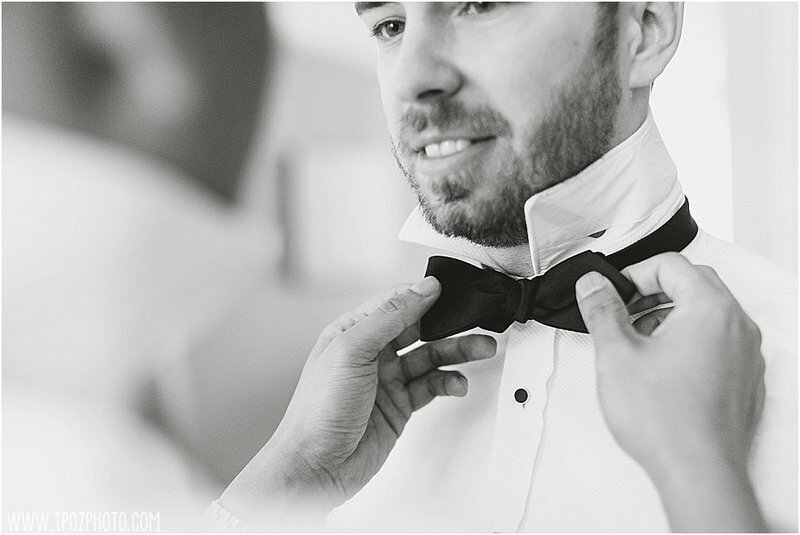 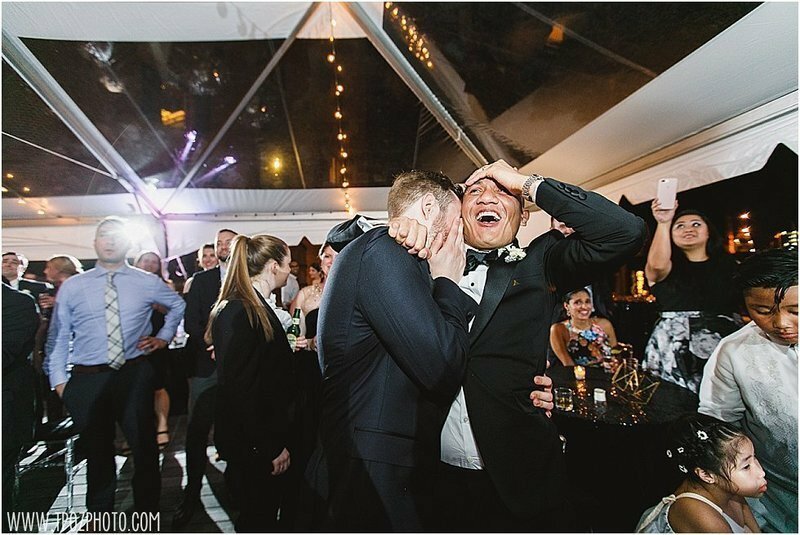 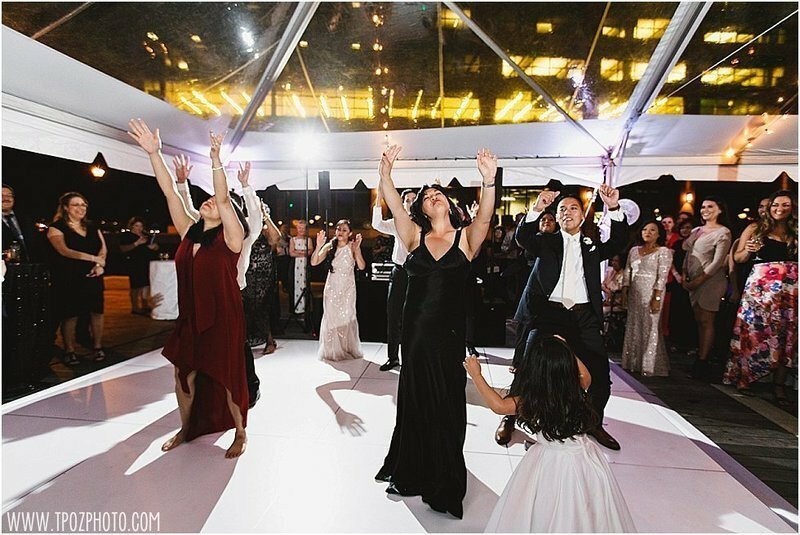 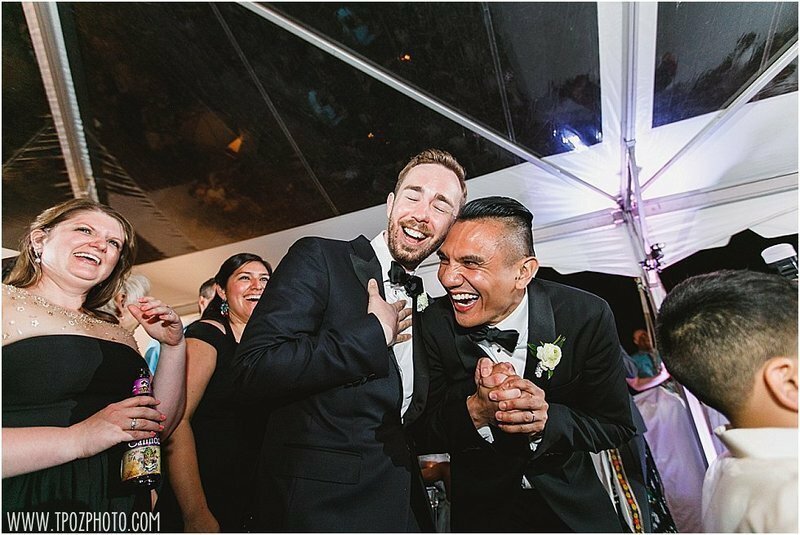 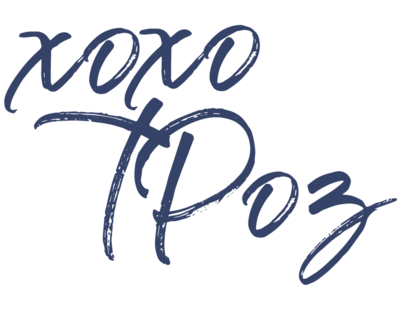 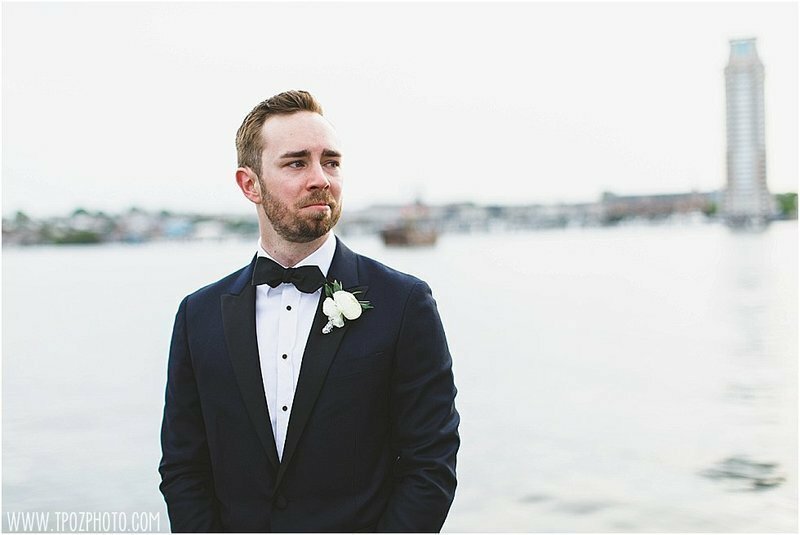 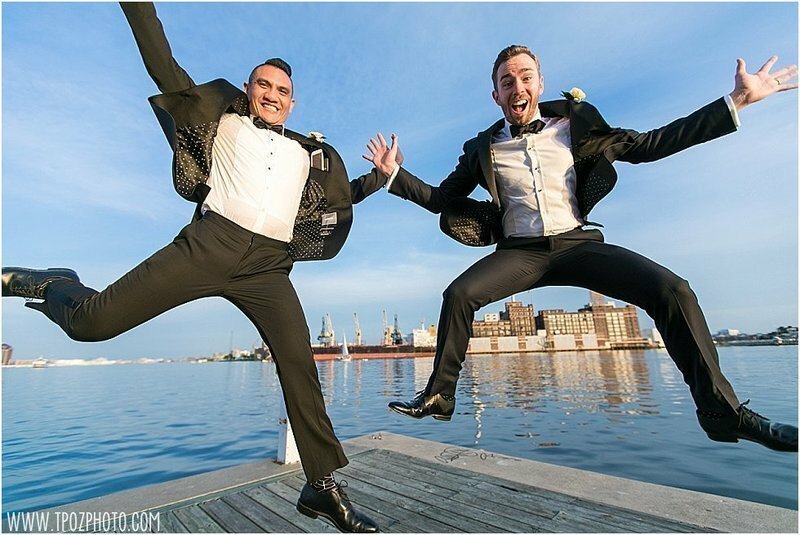 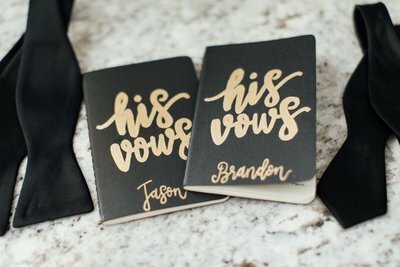 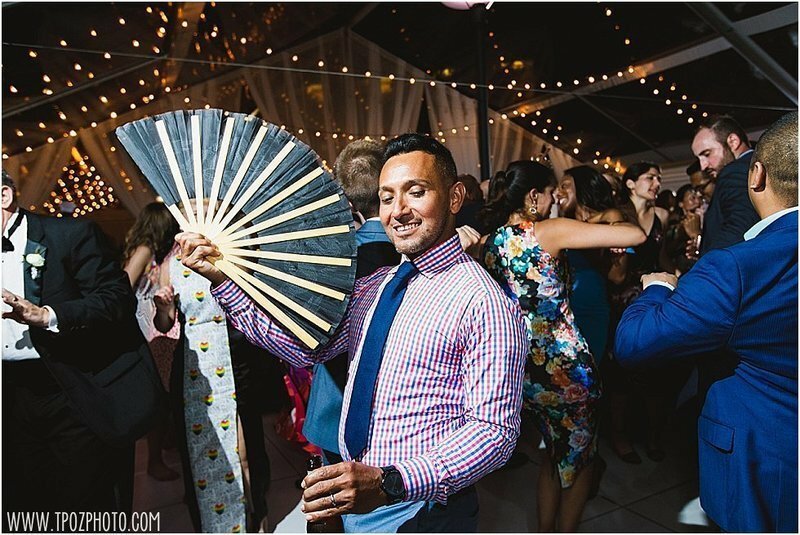 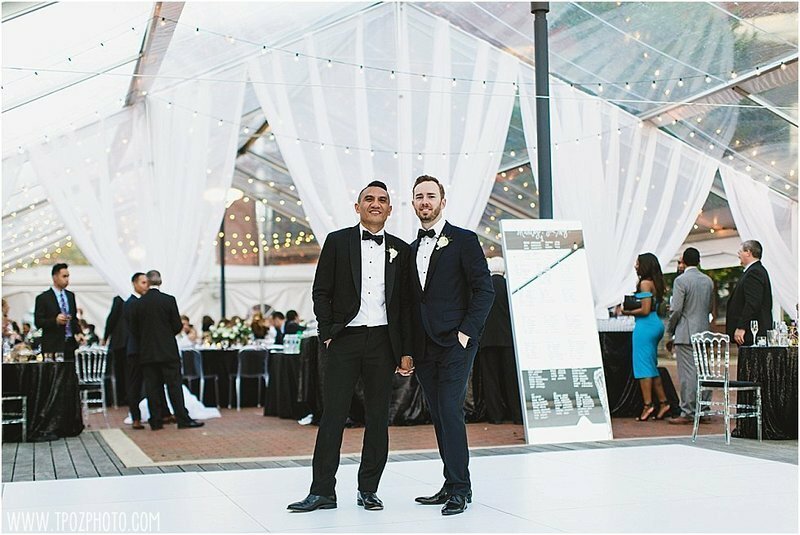 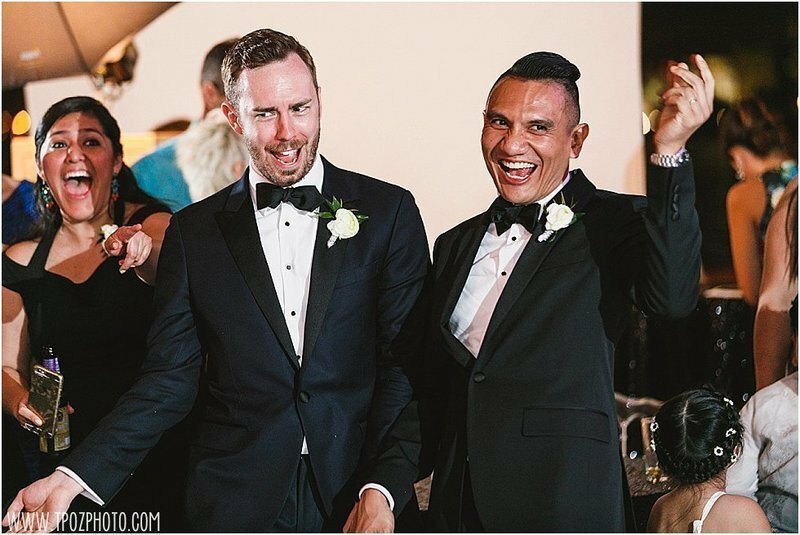 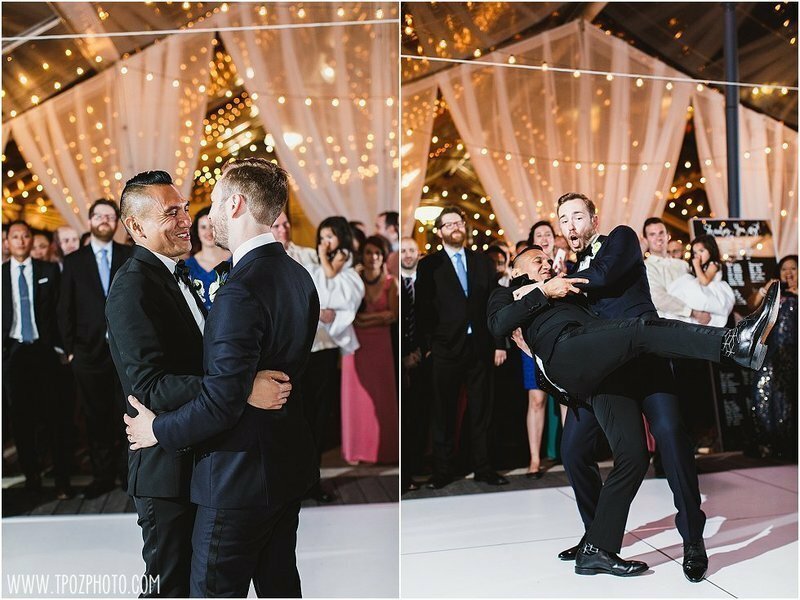 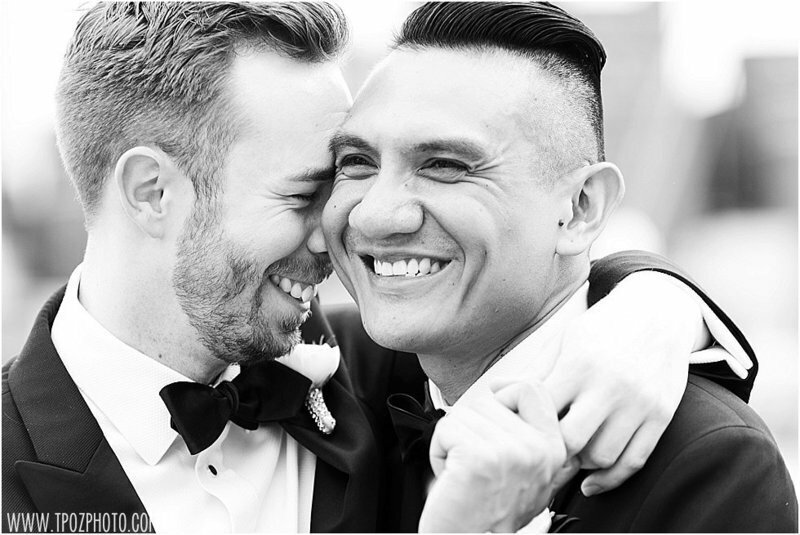 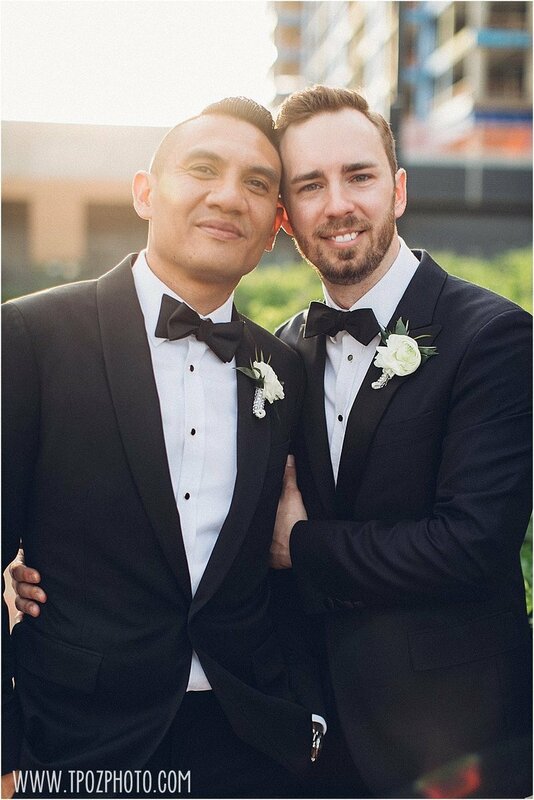 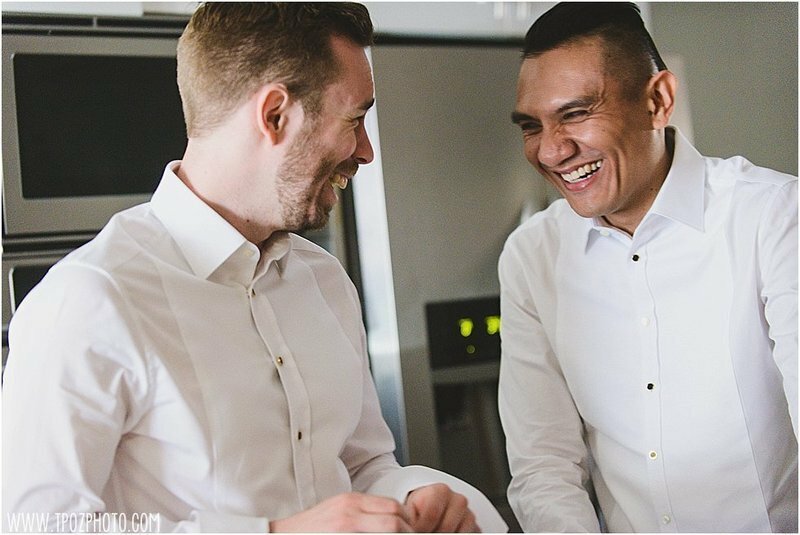 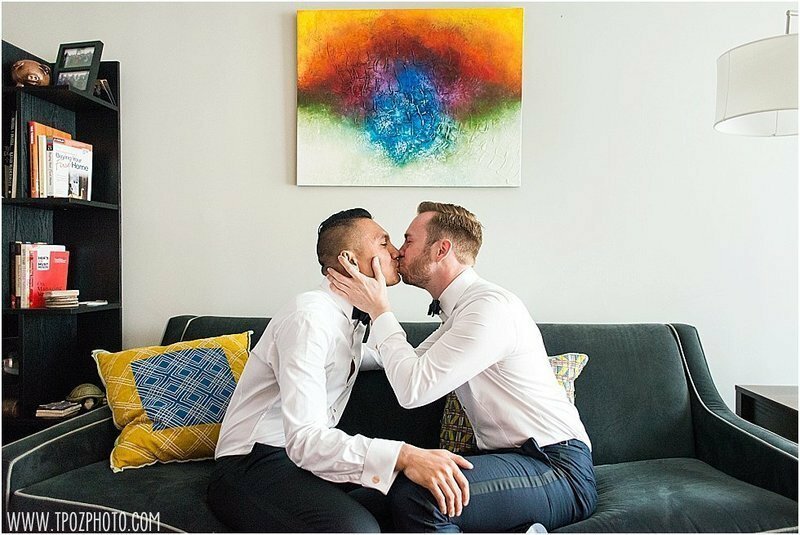 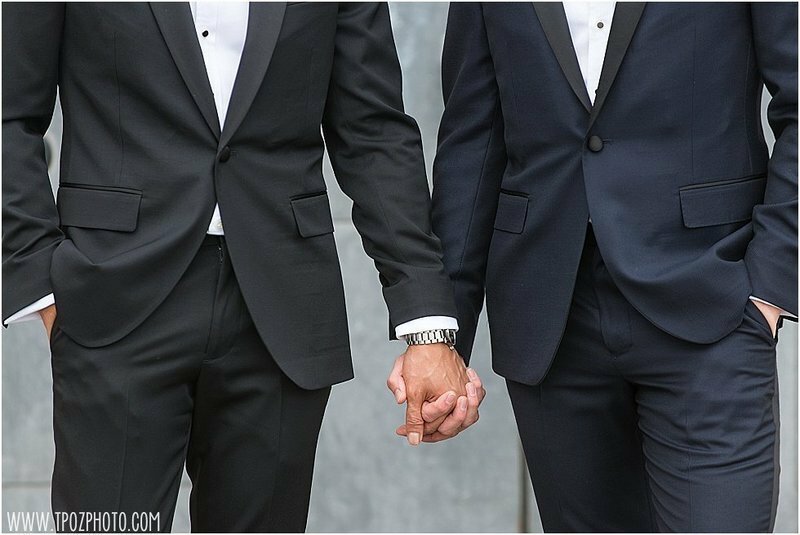 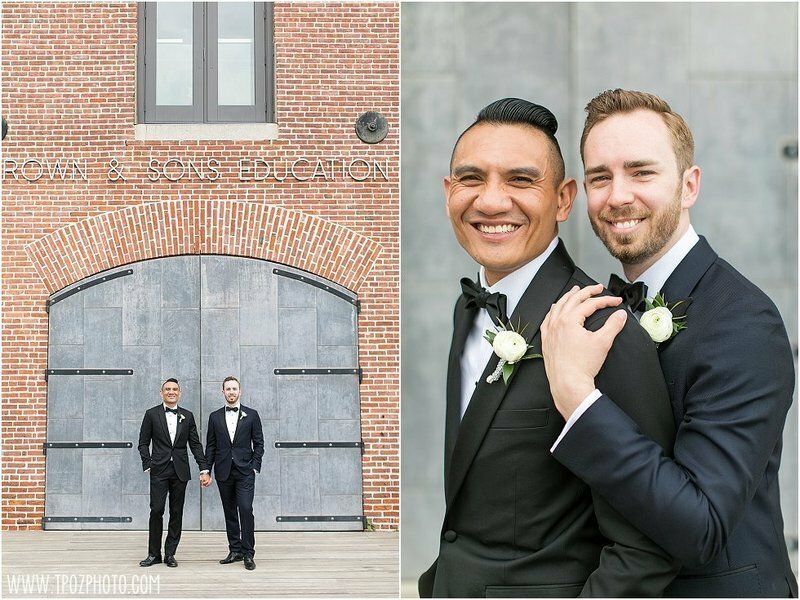 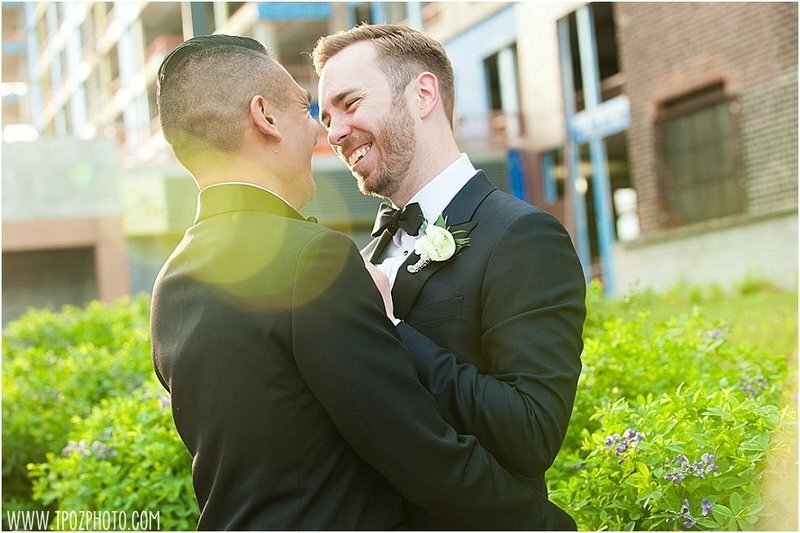 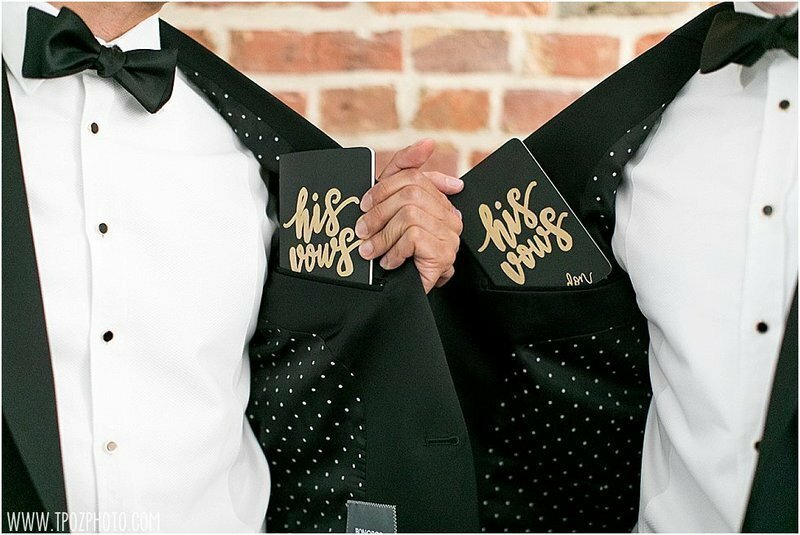 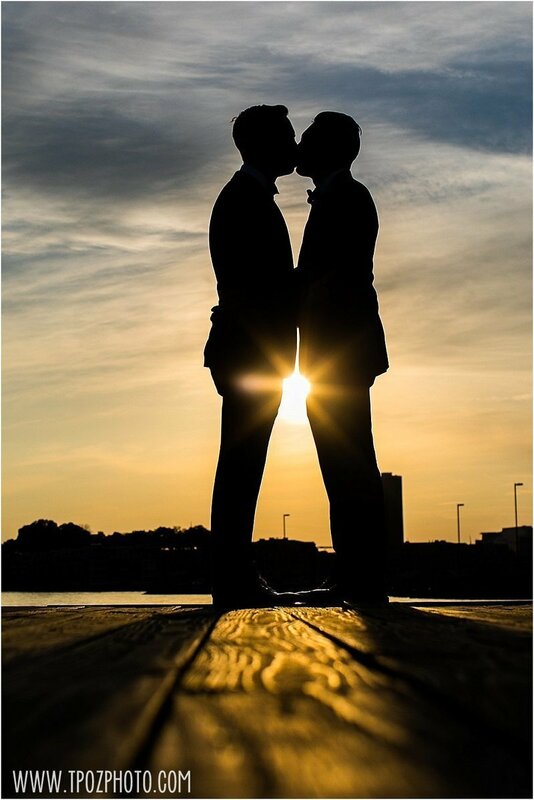 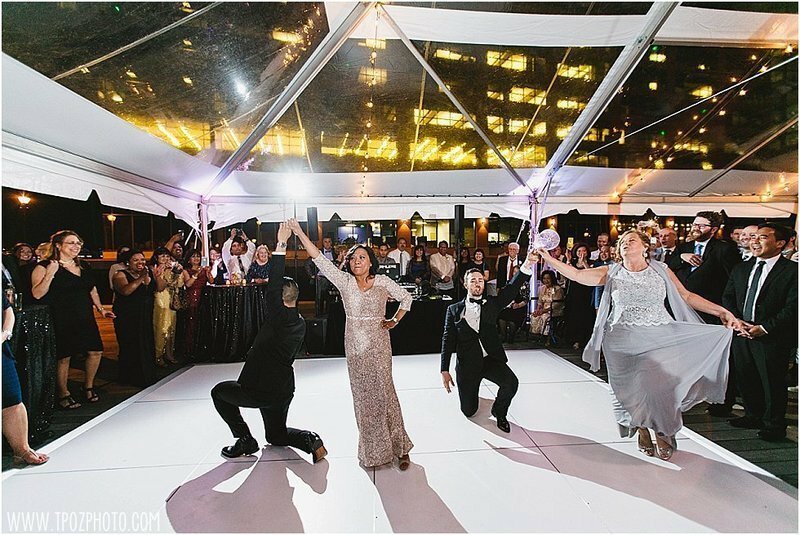 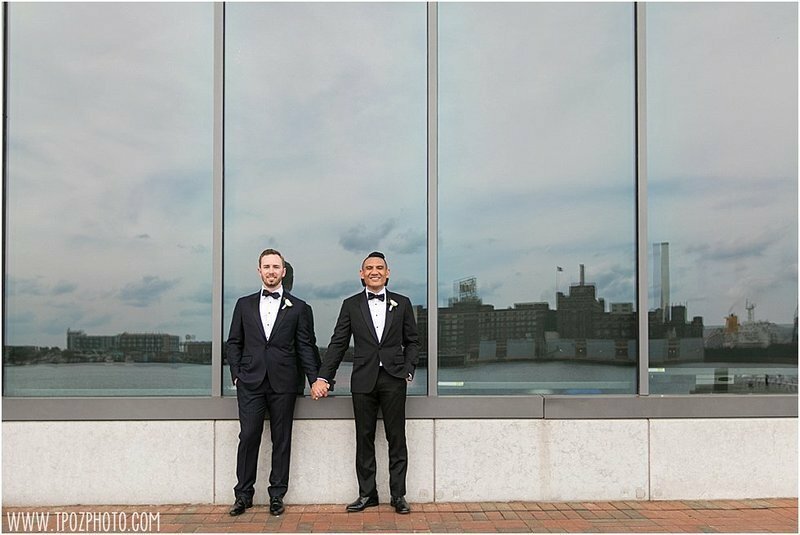 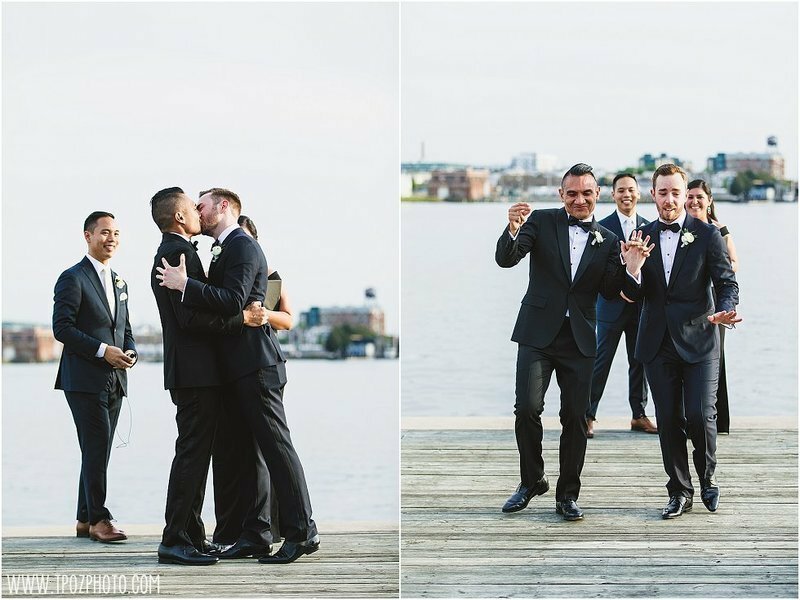 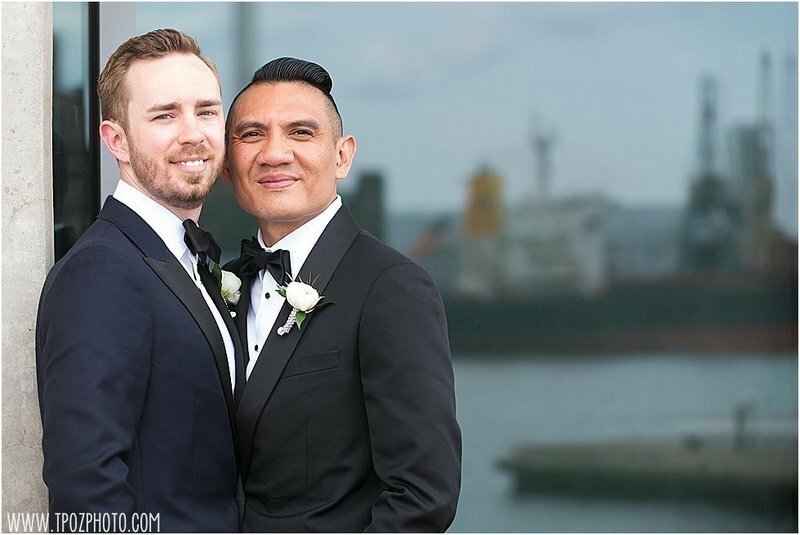 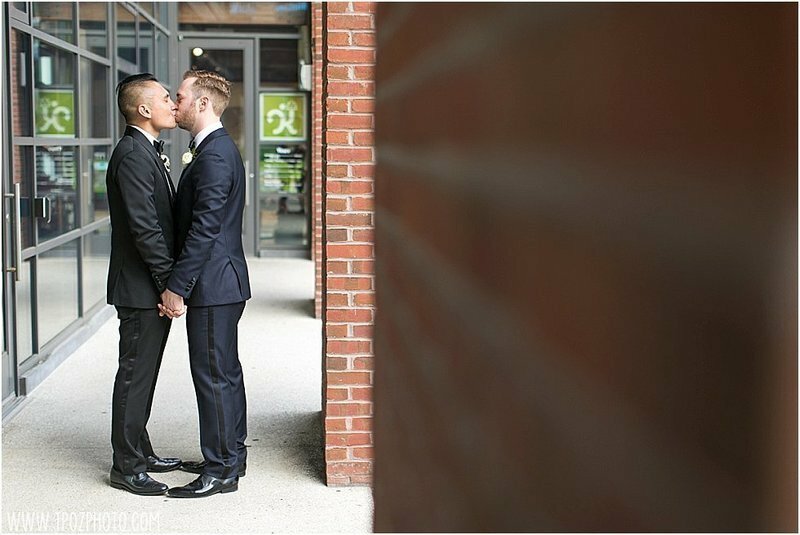 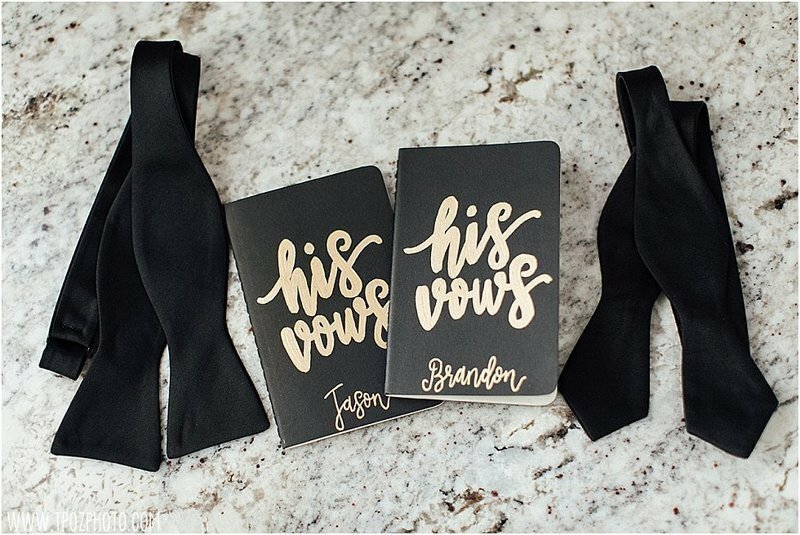 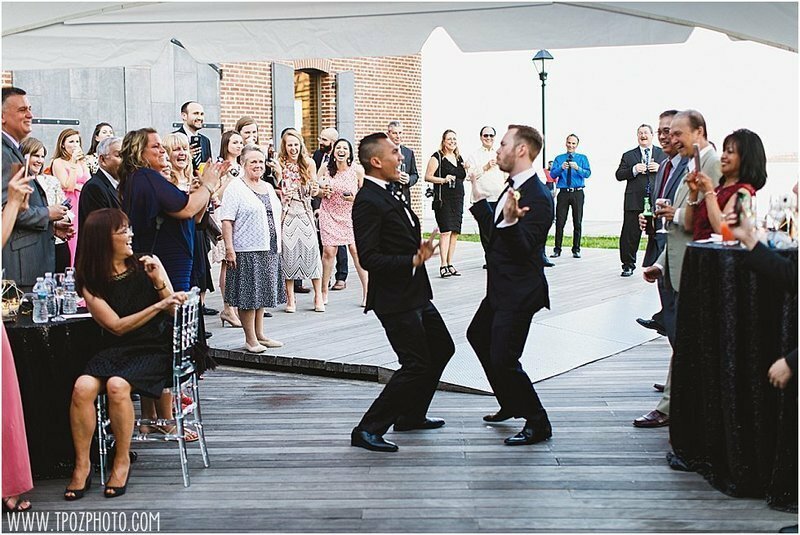 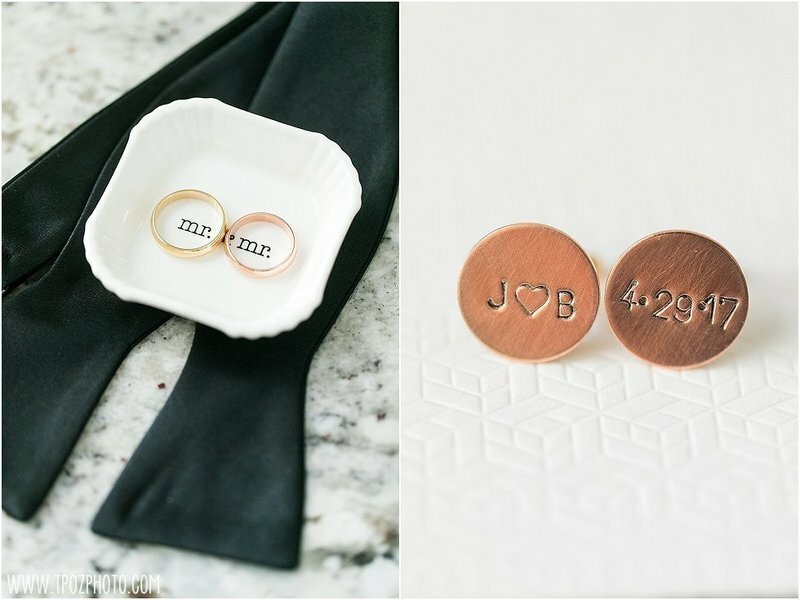 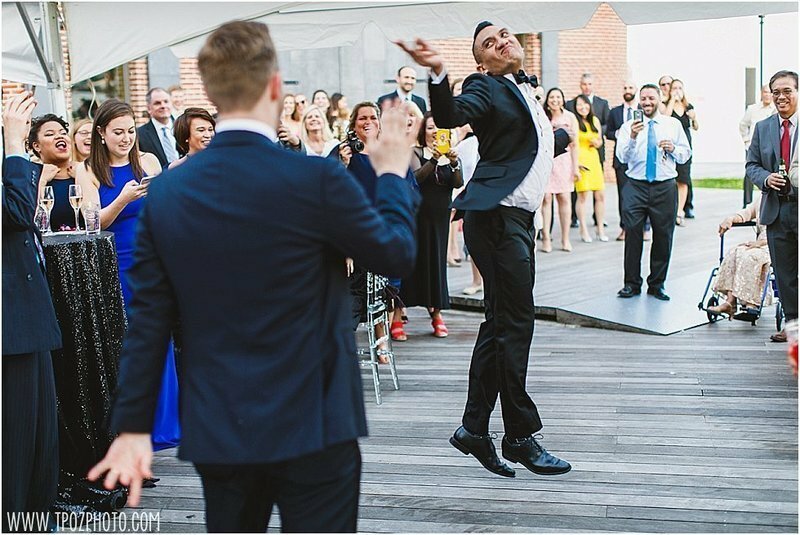 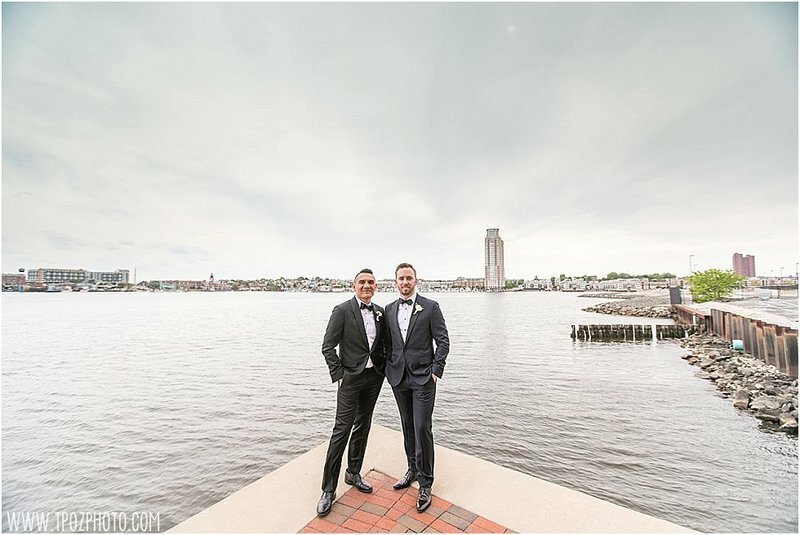 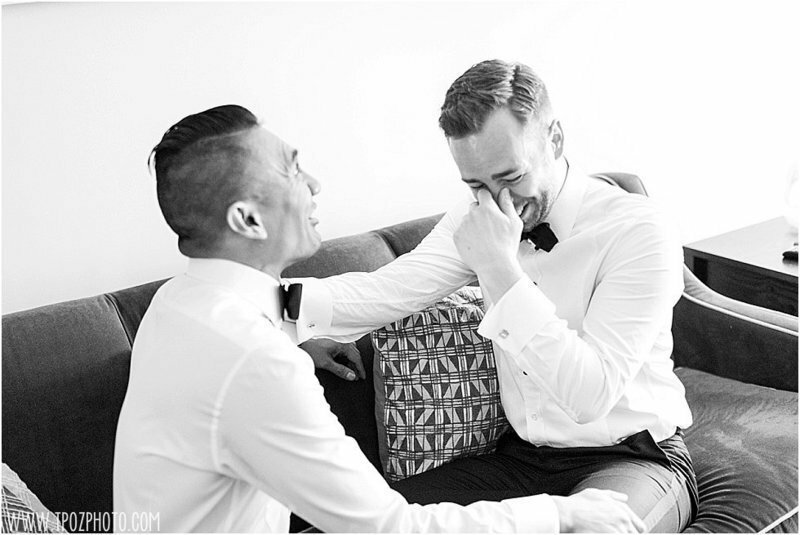 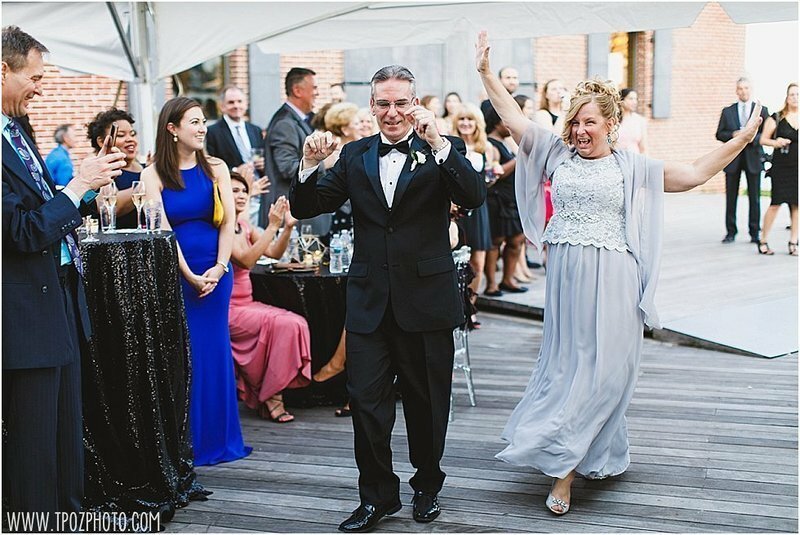 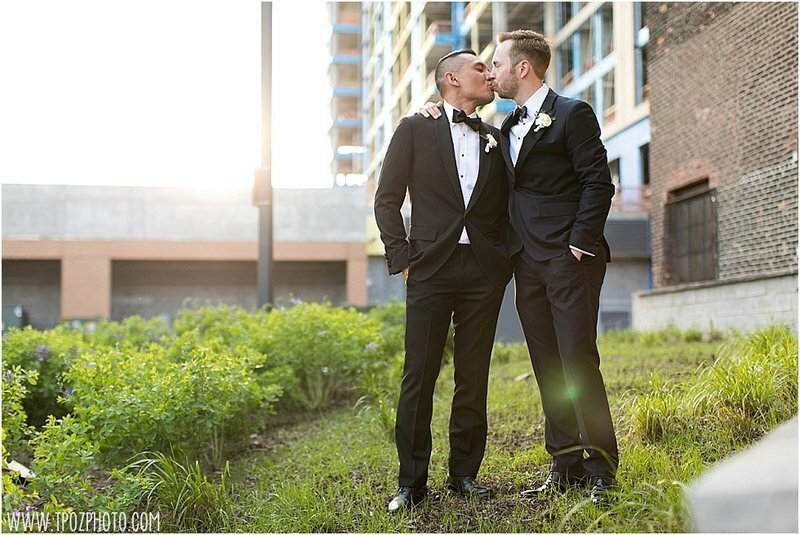 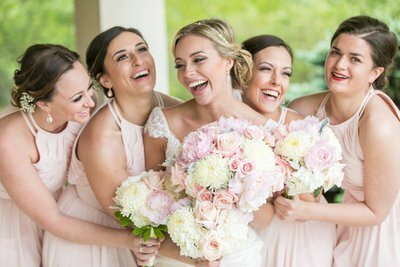 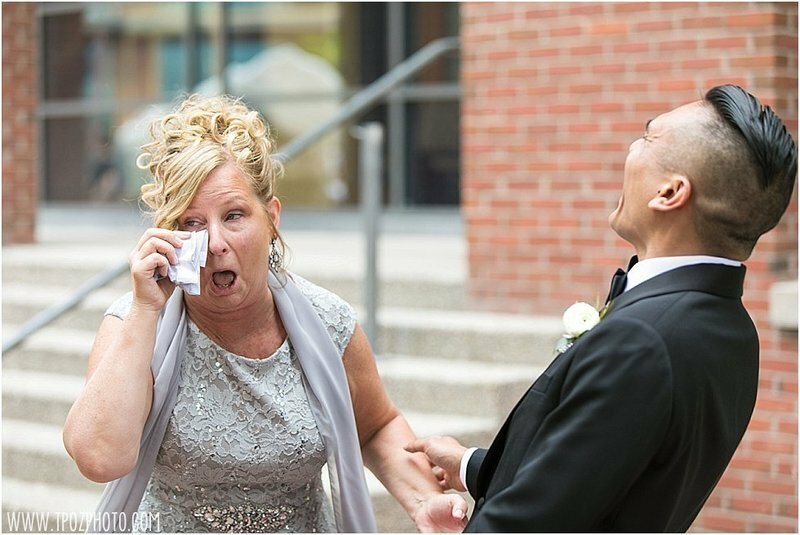 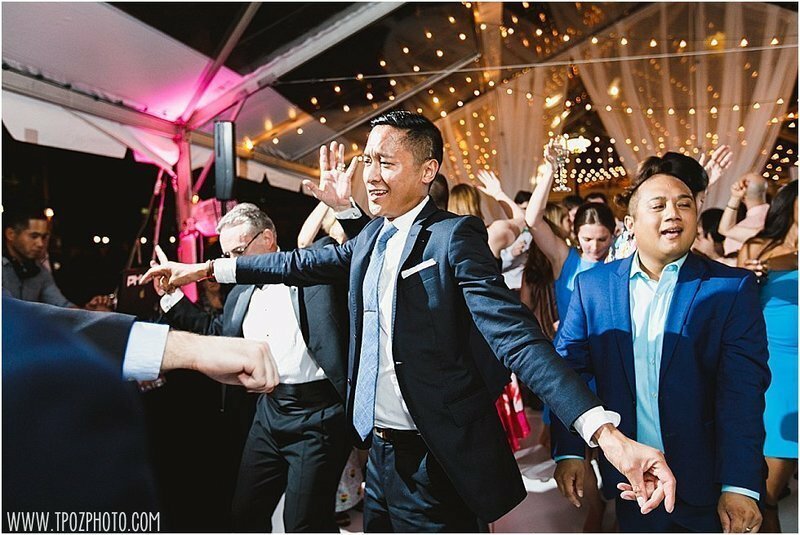 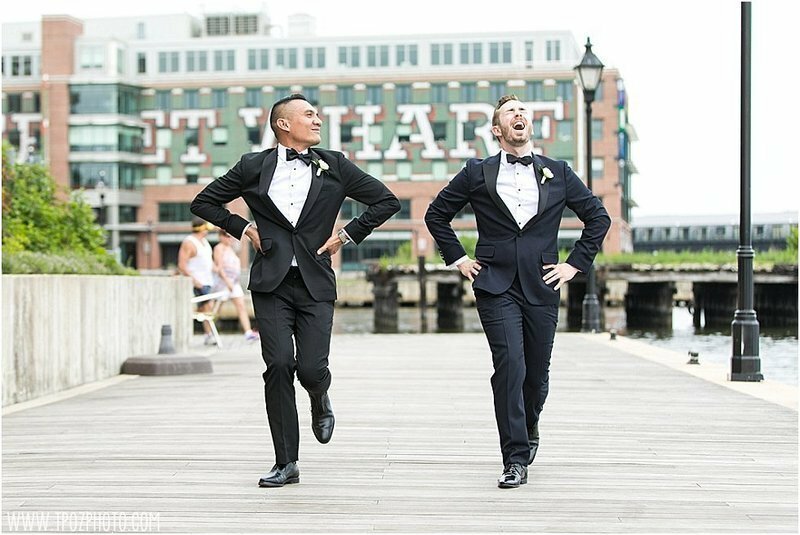 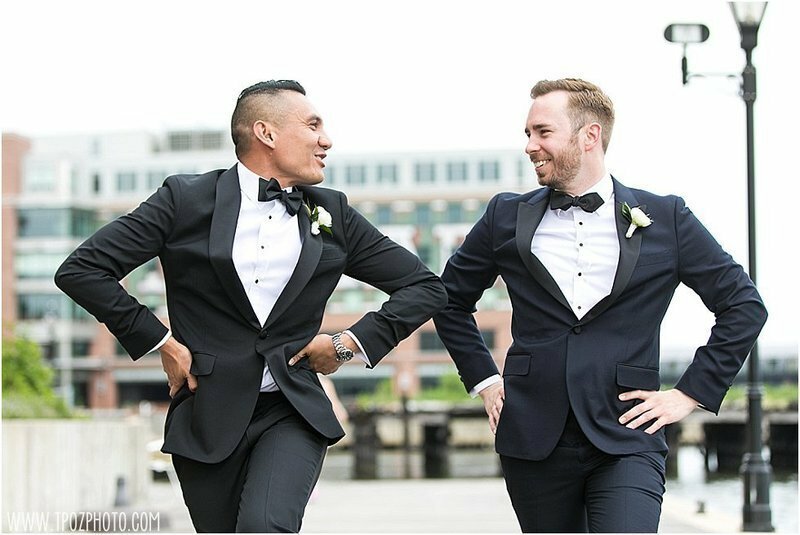 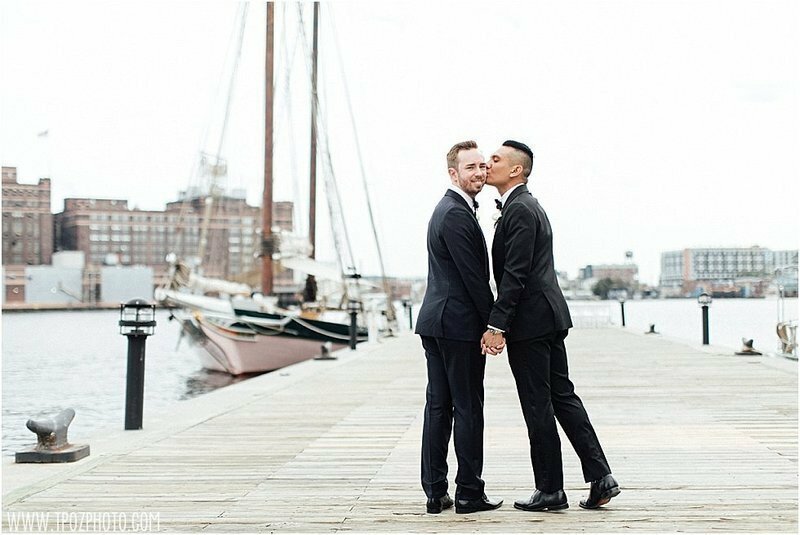 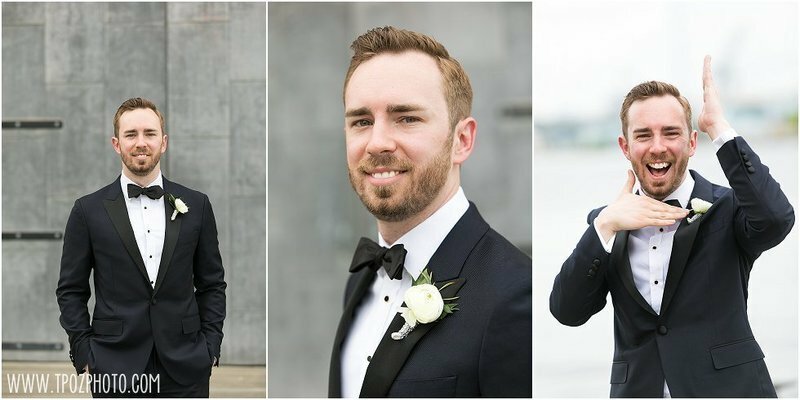 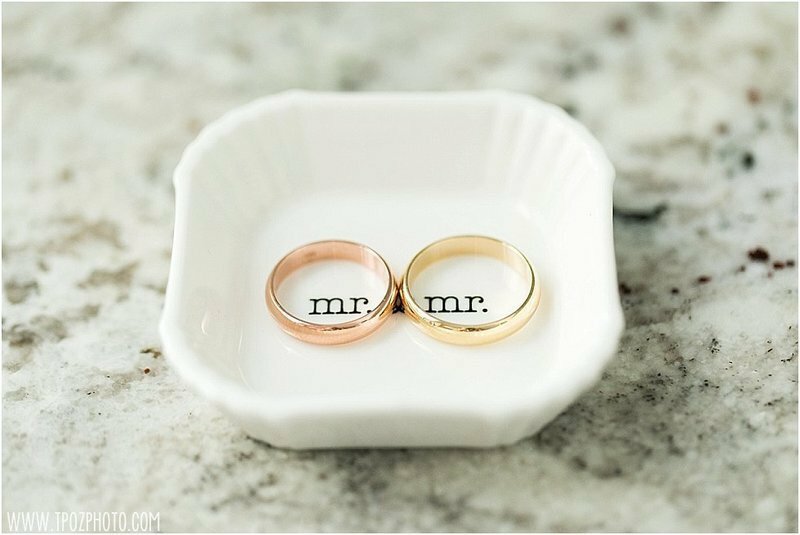 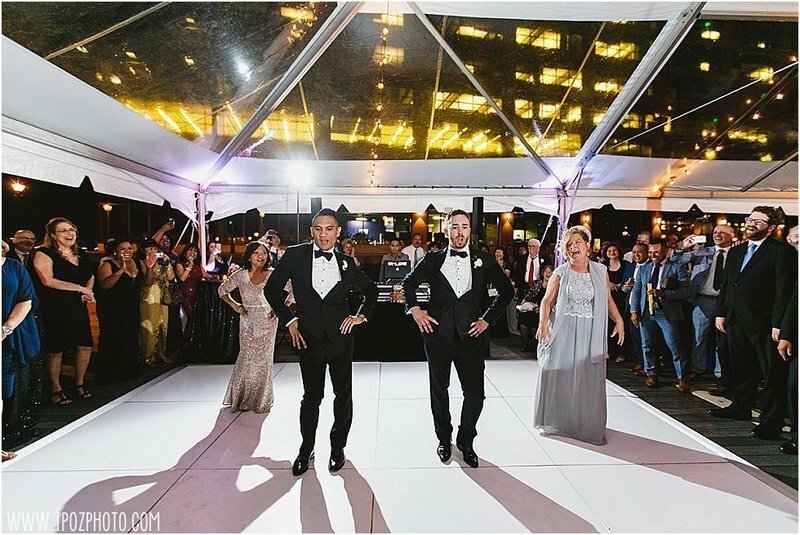 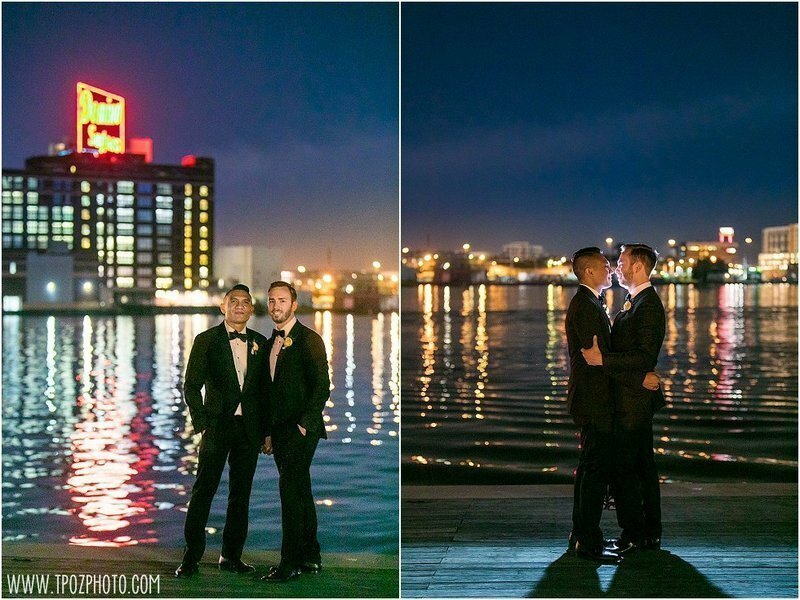 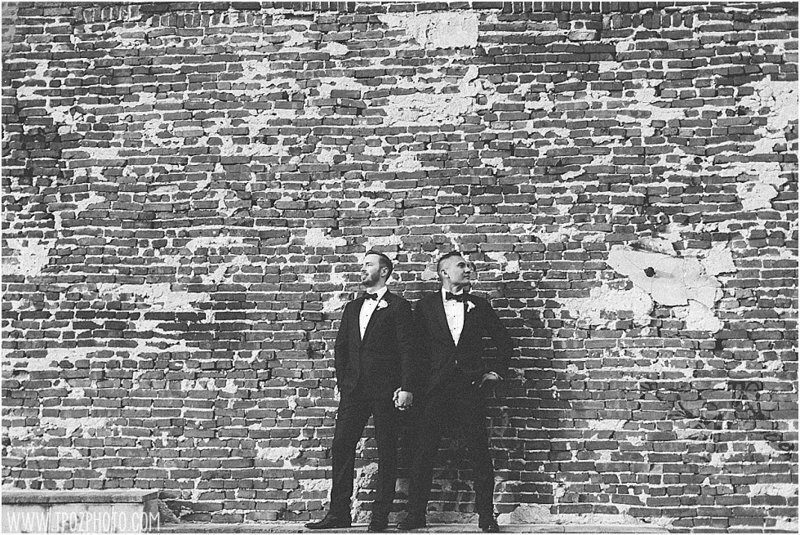 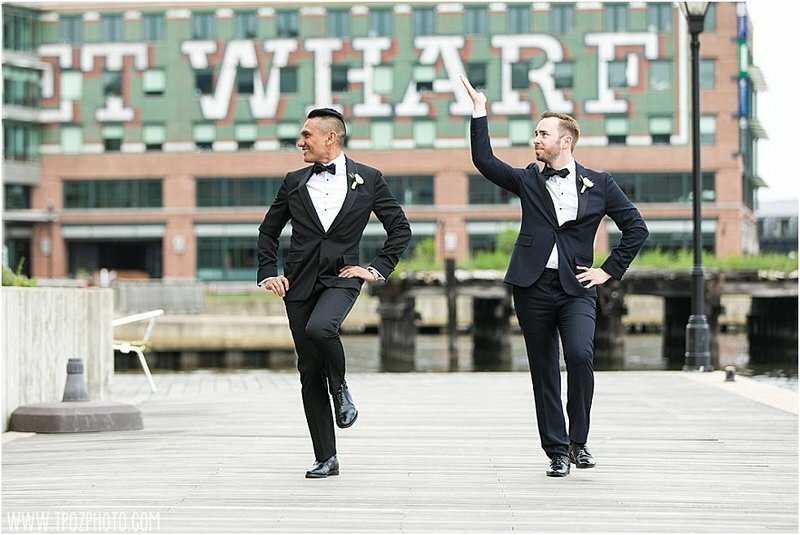 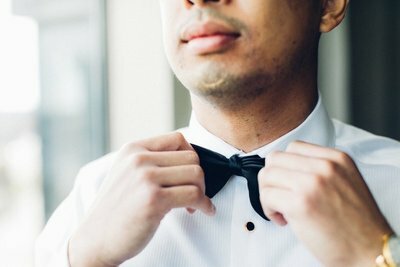 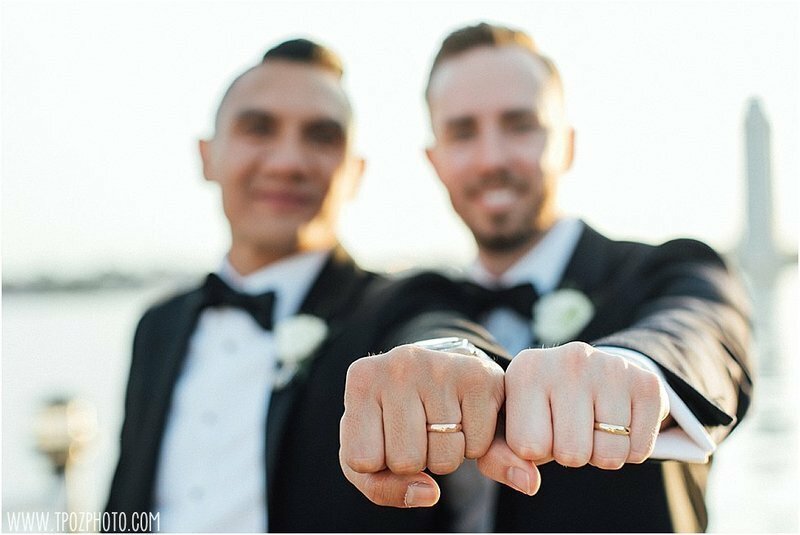 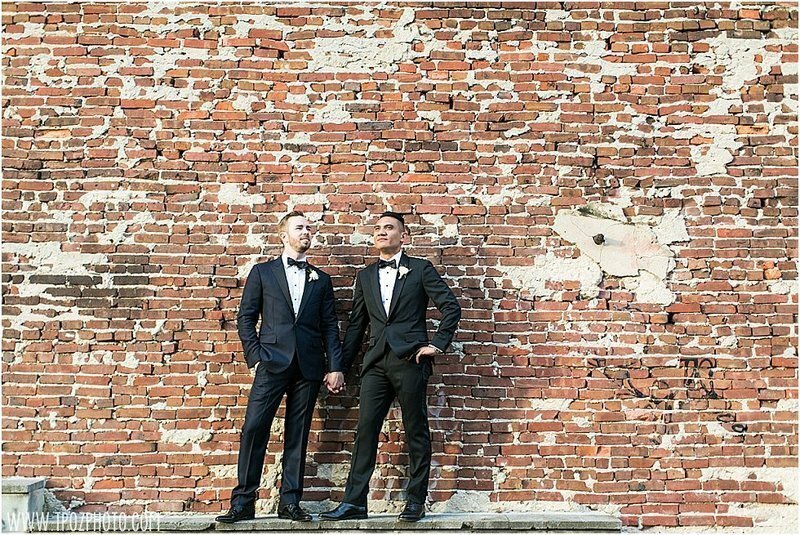 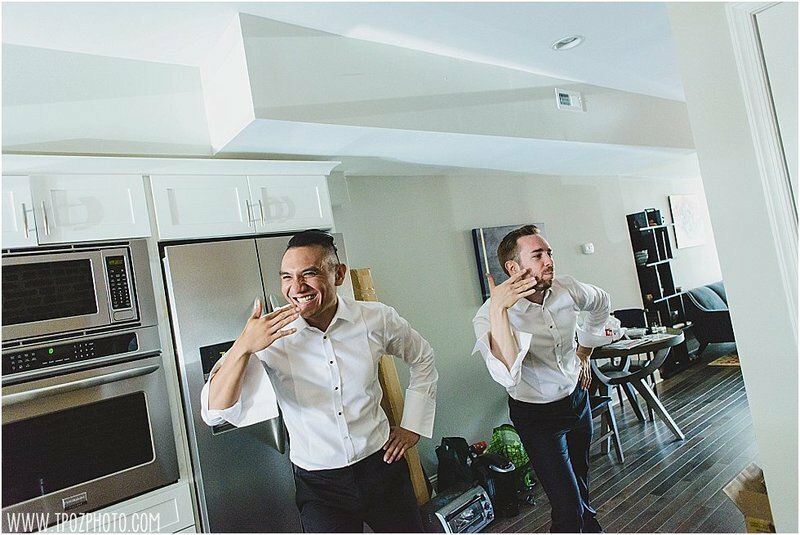 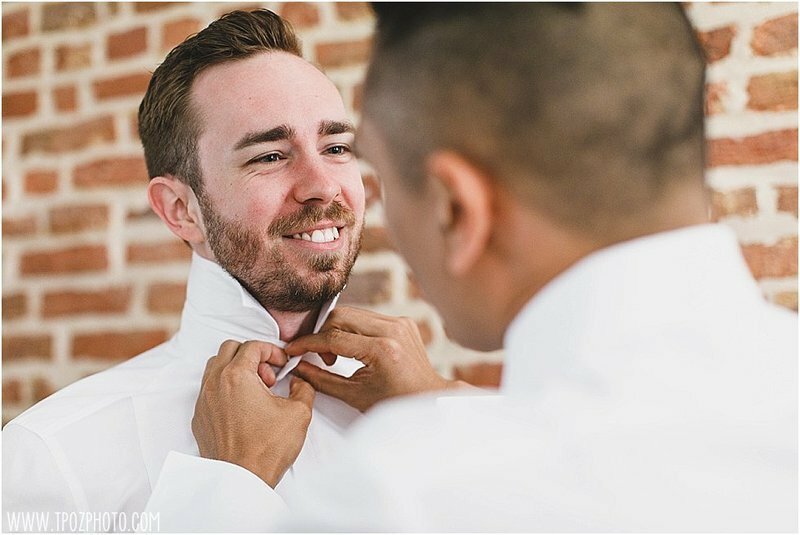 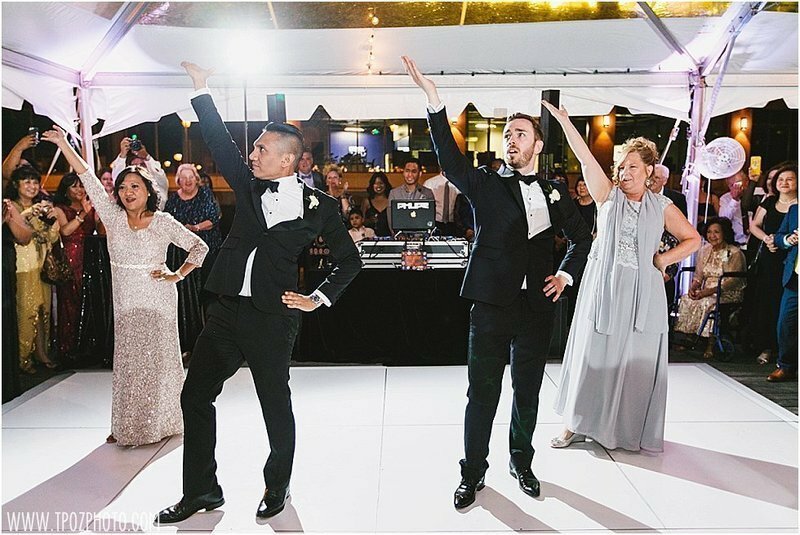 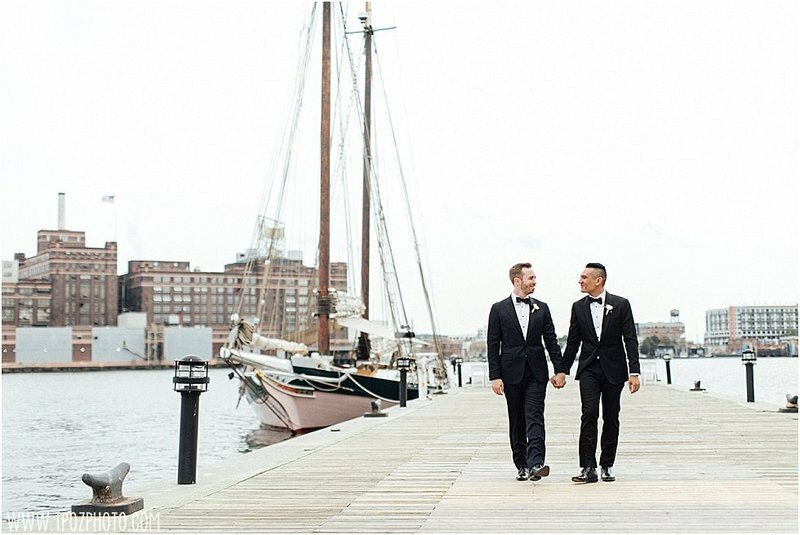 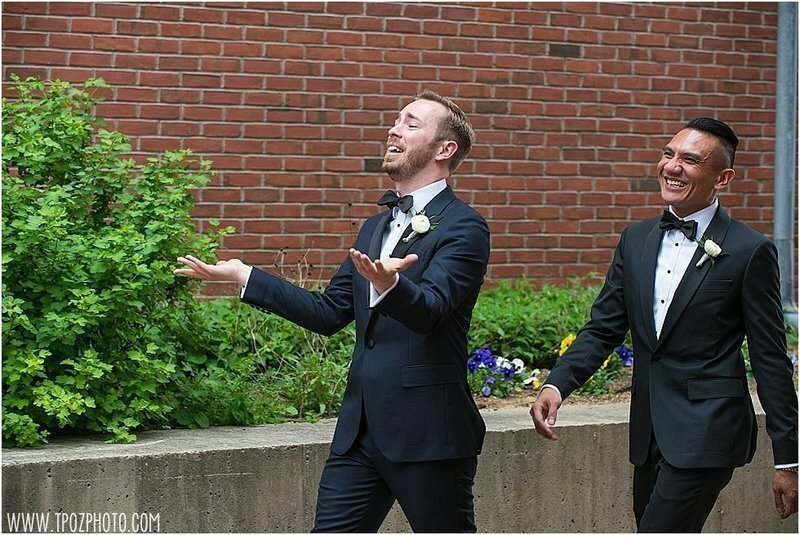 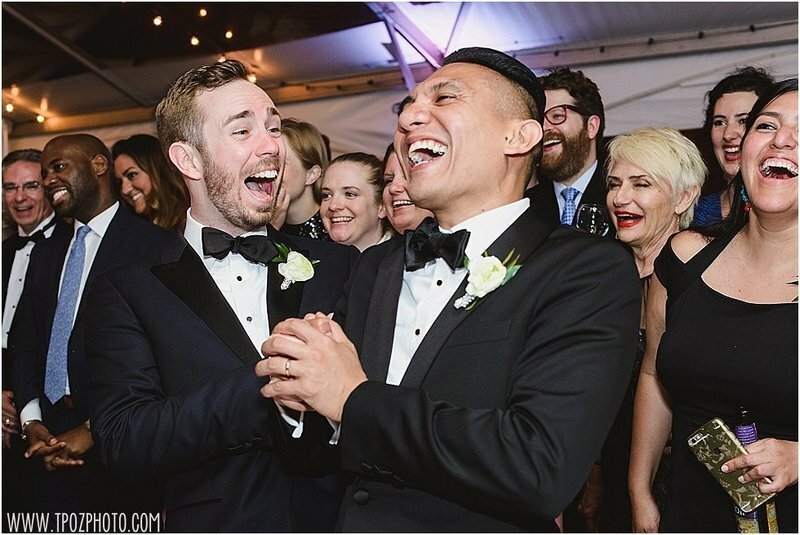 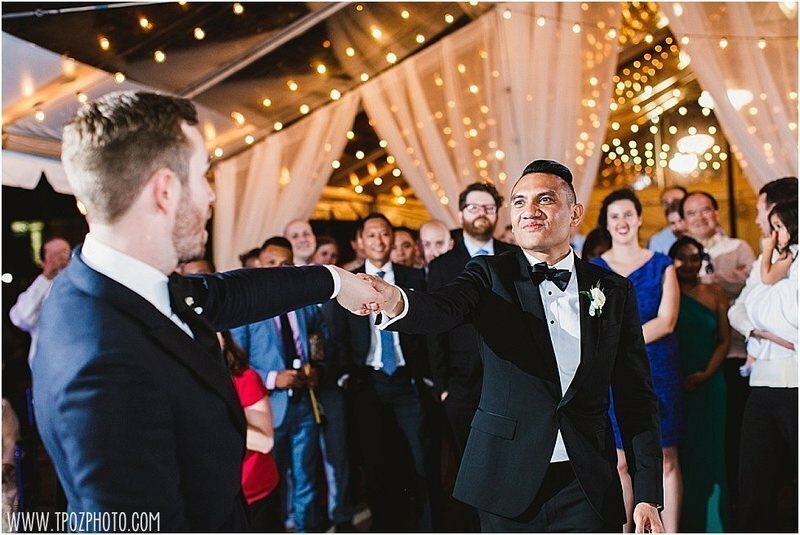 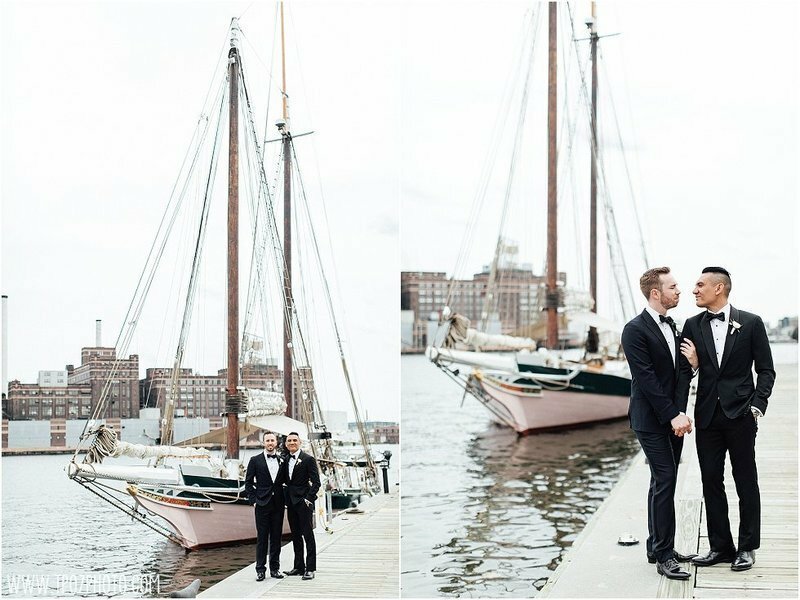 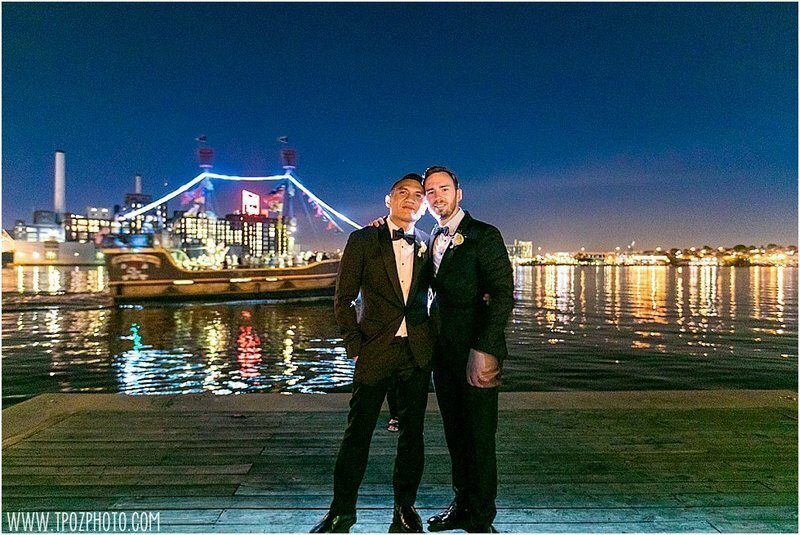 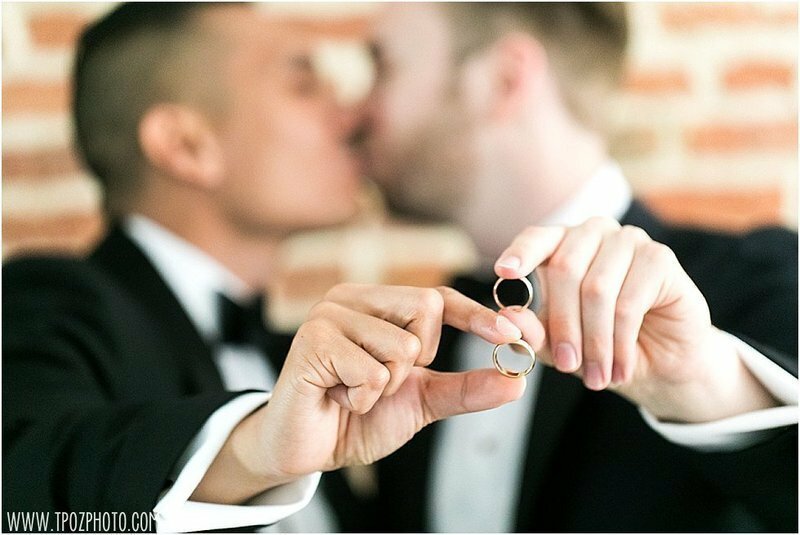 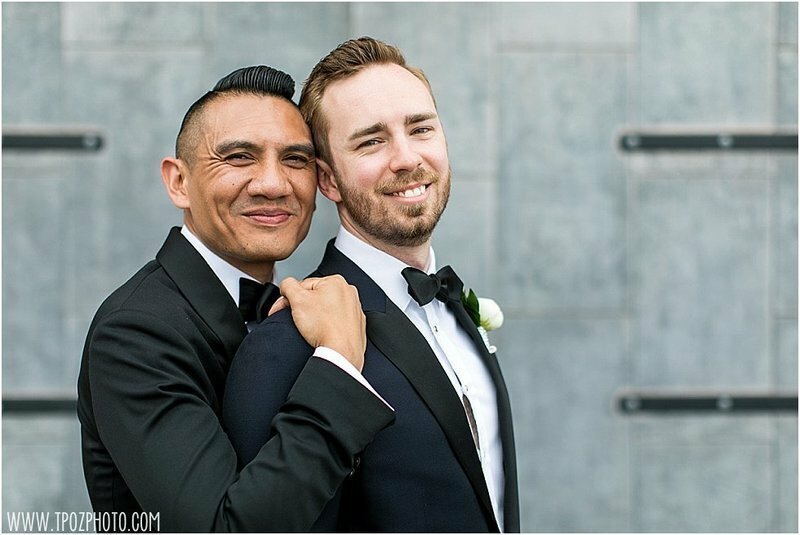 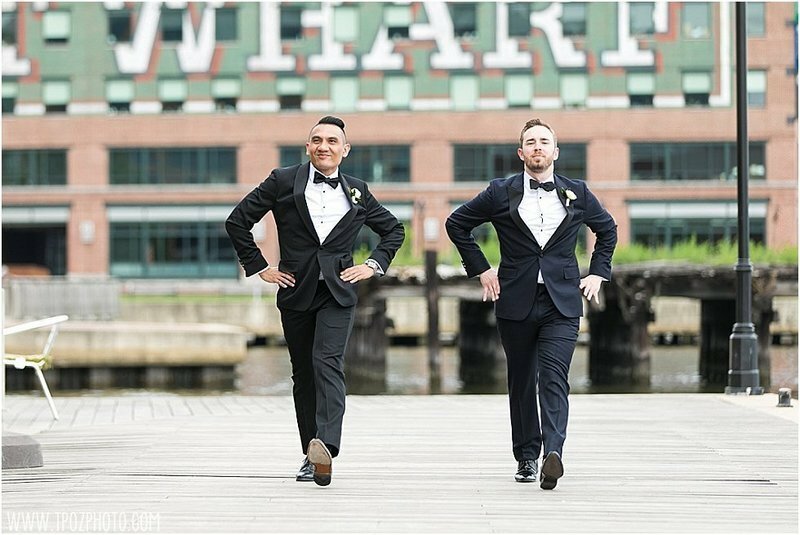 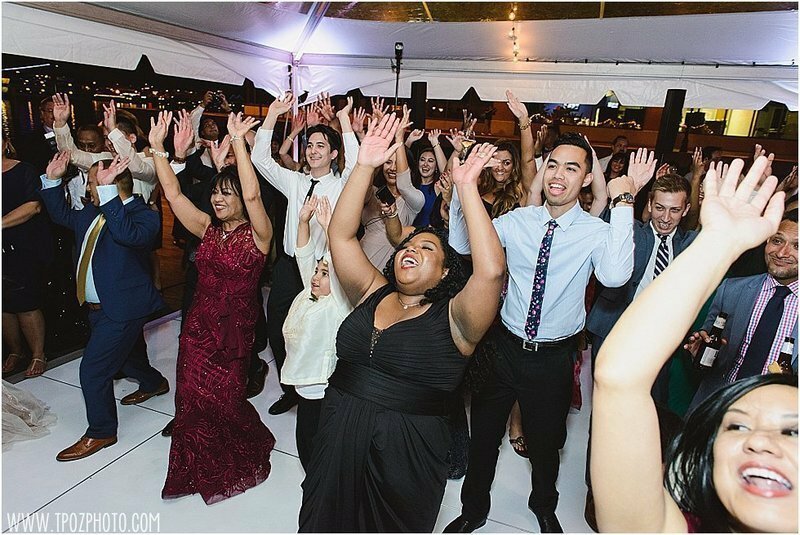 I started out at Brandon+Jason's home, while they helped each other tie their bow ties and cufflinks, and practiced a bit of their choreographed dance routine. 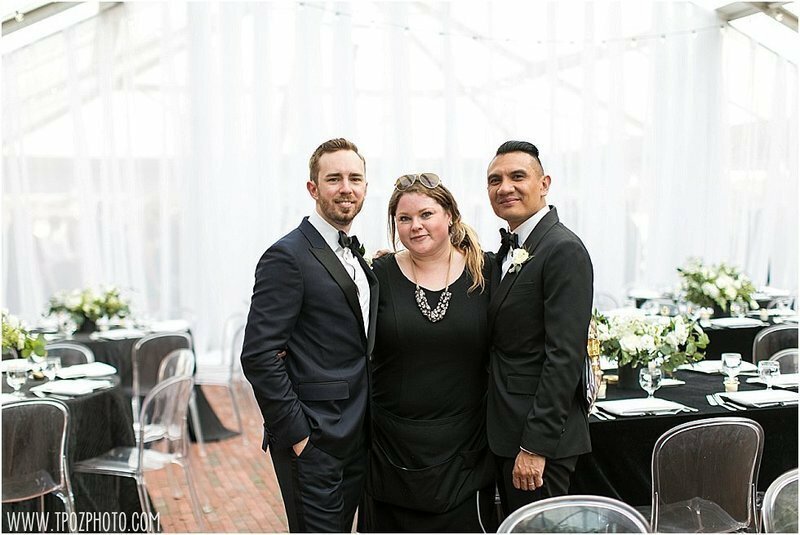 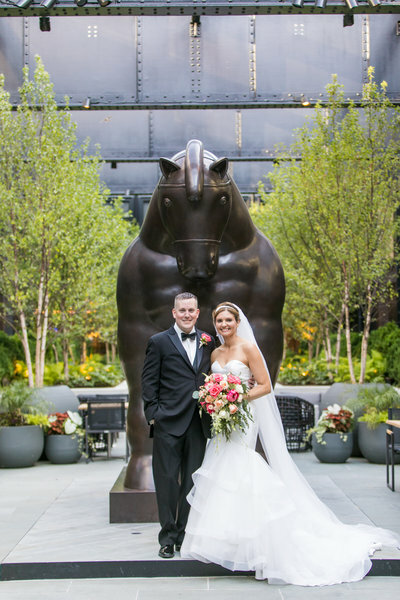 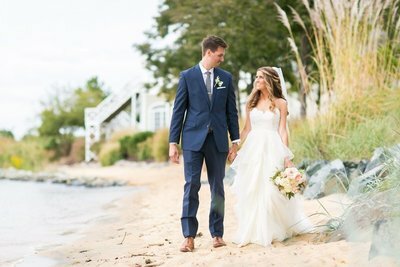 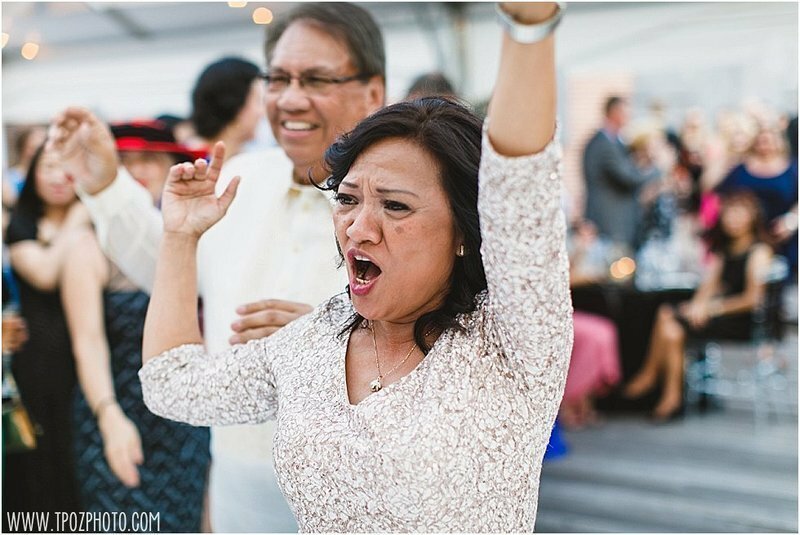 These two opted to not have a wedding party, which kept things super chill and low-key for the day. 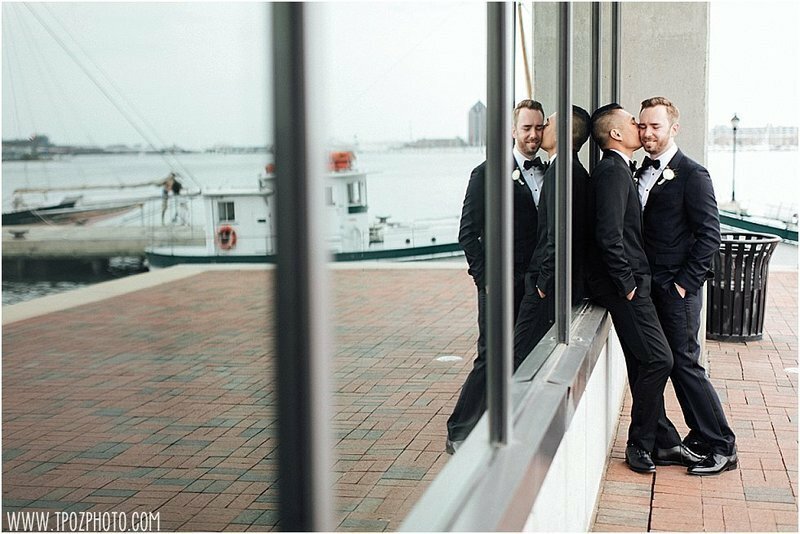 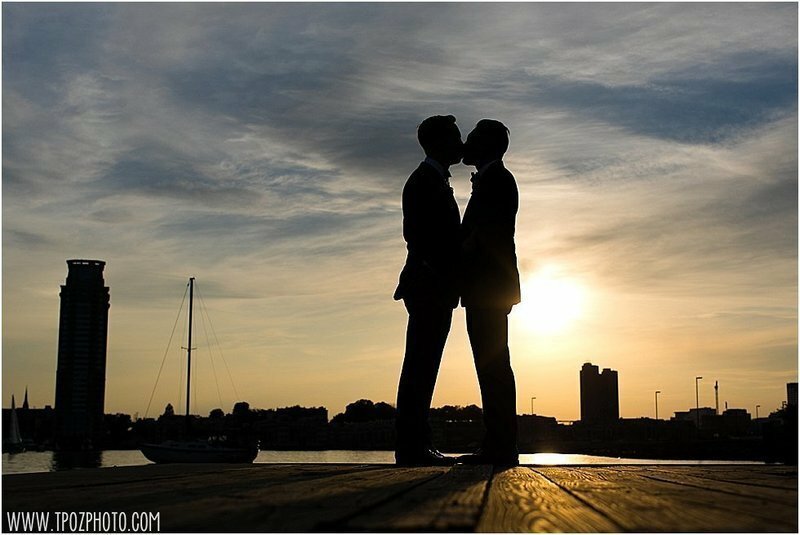 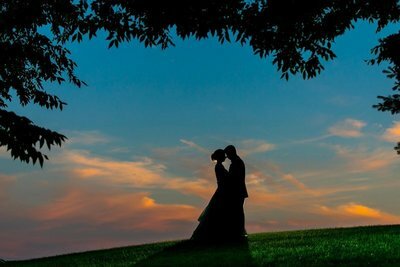 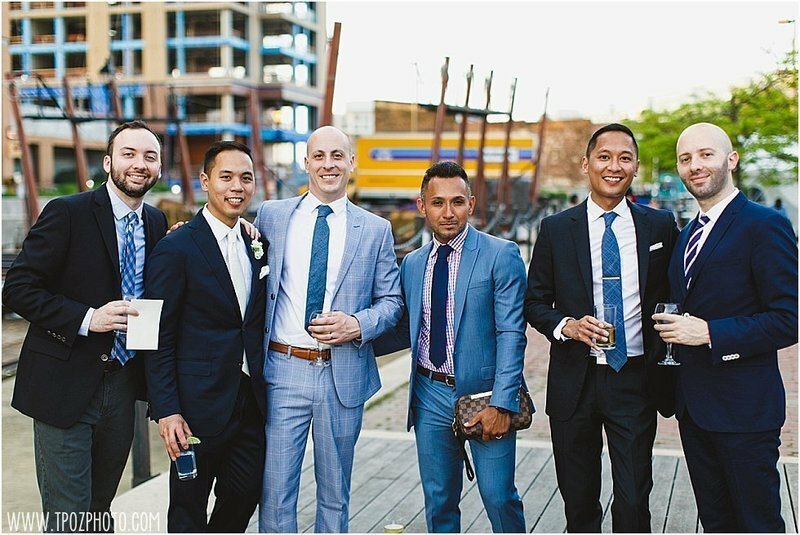 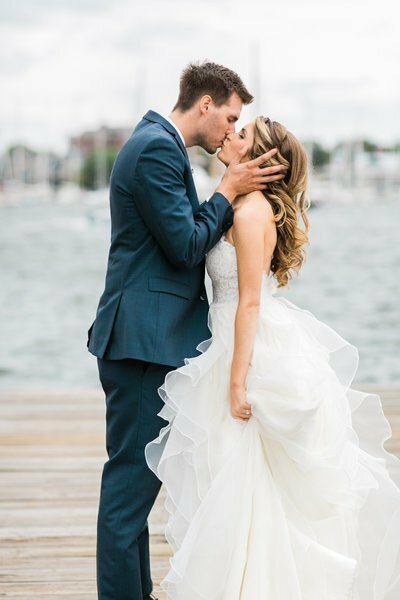 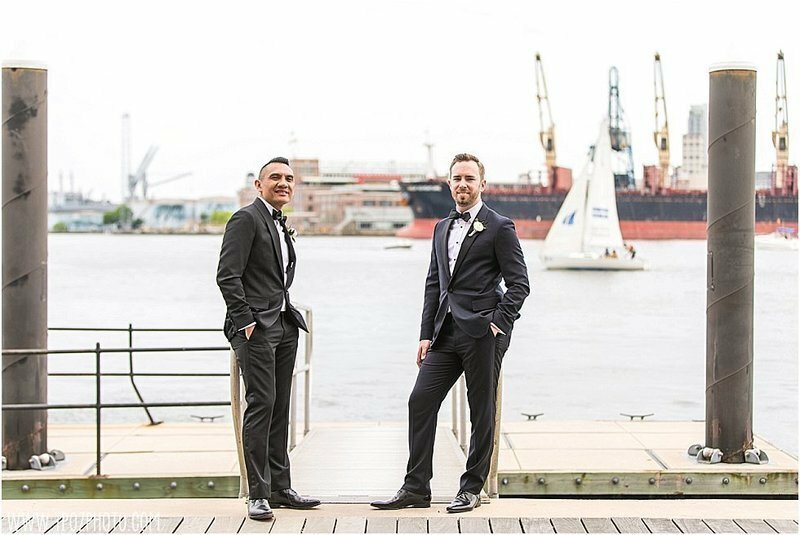 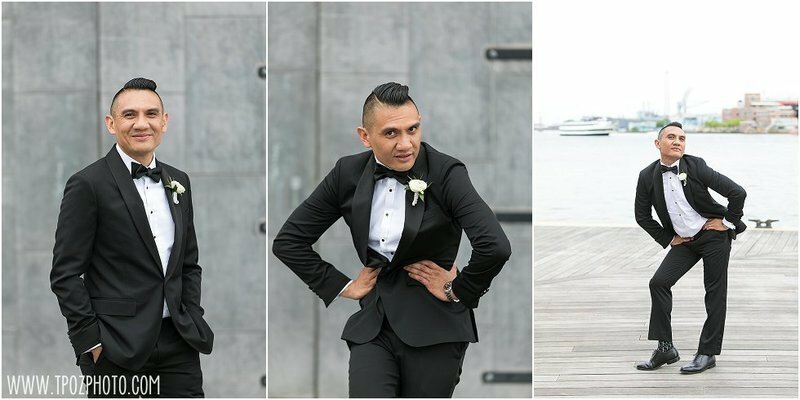 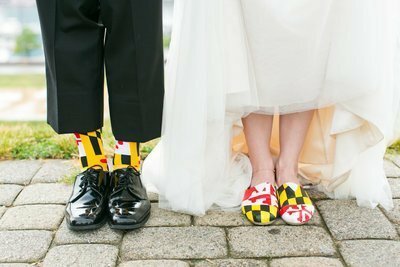 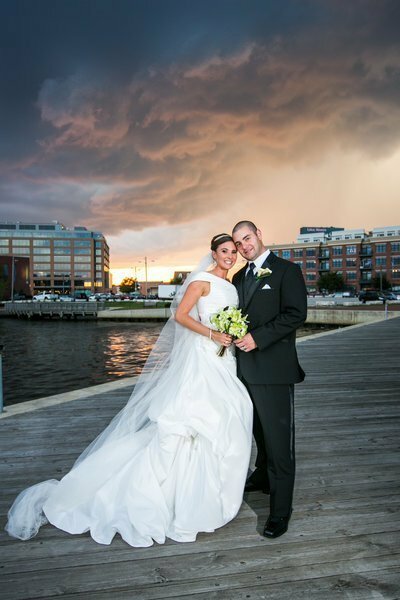 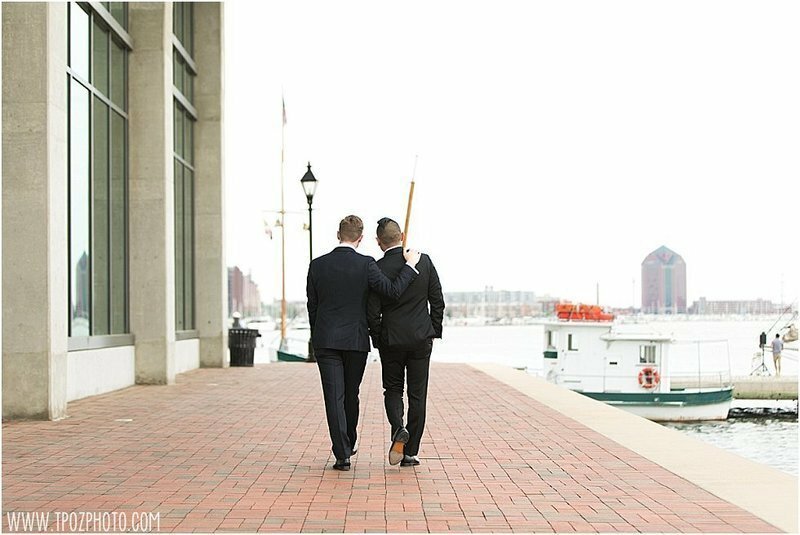 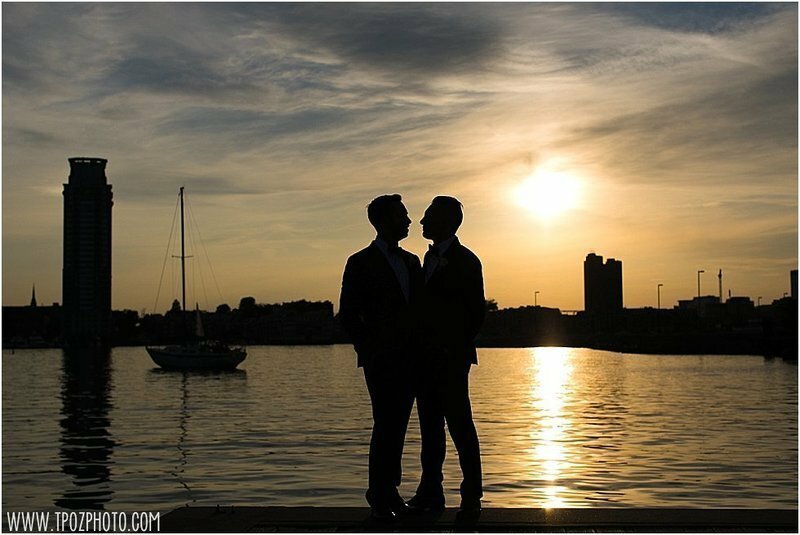 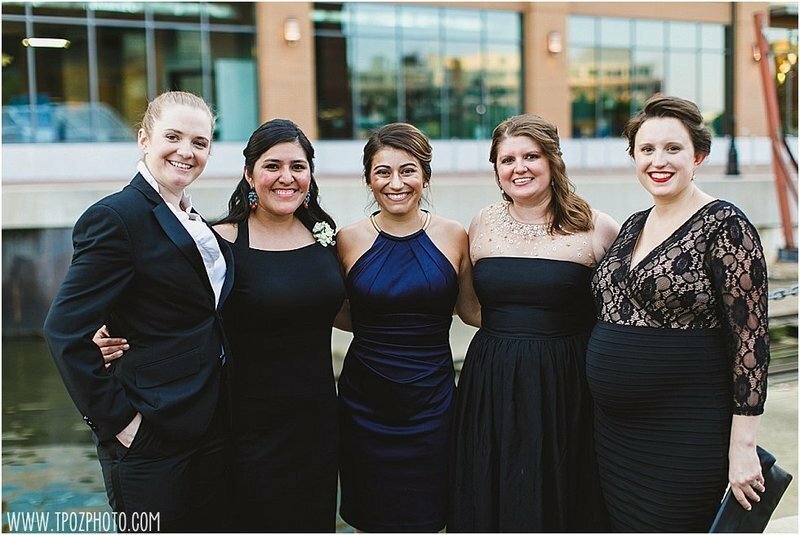 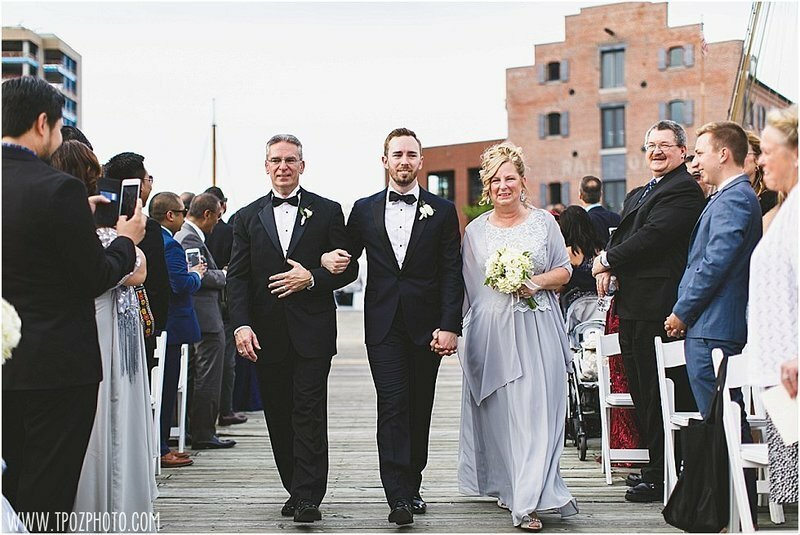 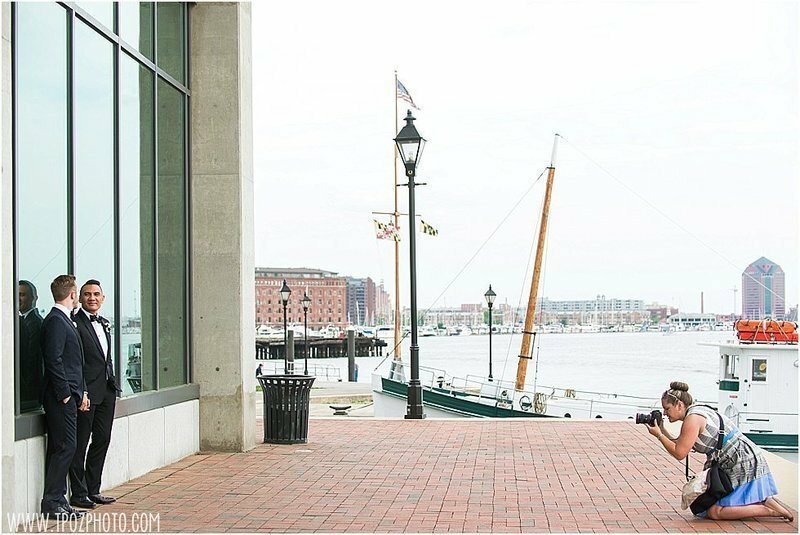 I had fun acting as their personal Uber driver over to the Frederick Douglass-Isaac Myers Maritime Park Museum wedding venue for portraits before the ceremony out on the pier. 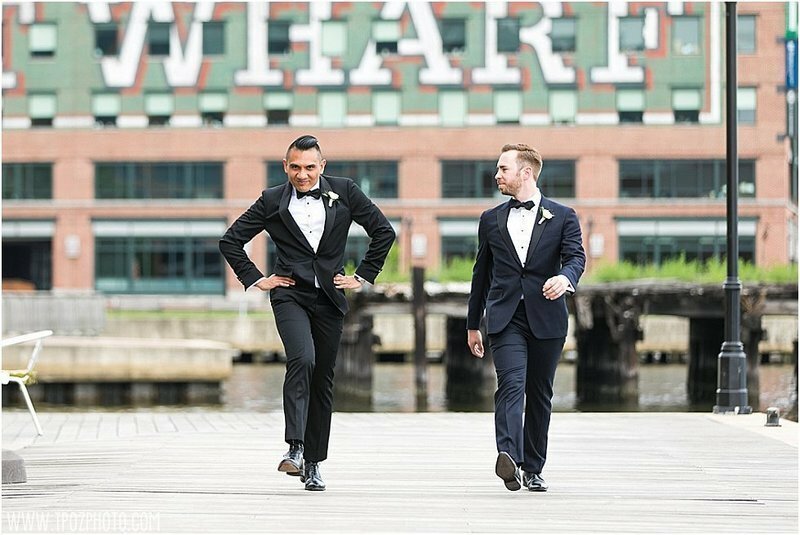 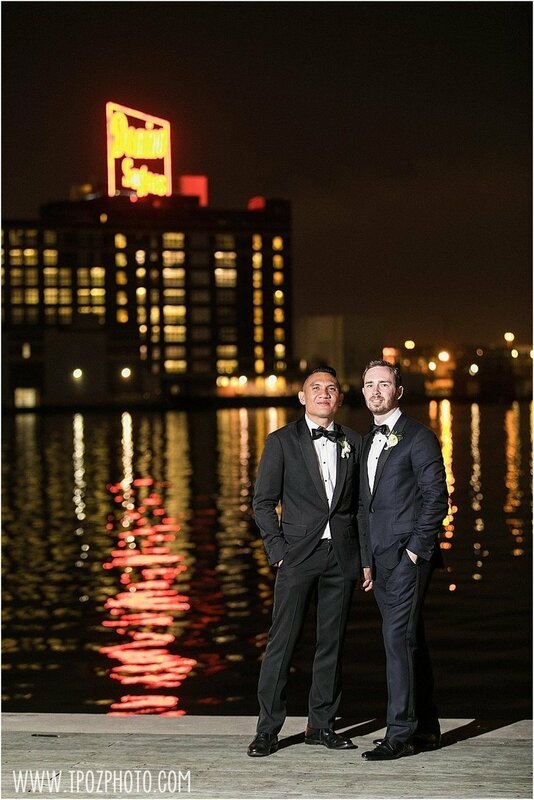 Brandon+Jason even had a little model ‘walk-off’, strutting their stuff and voguing for me! 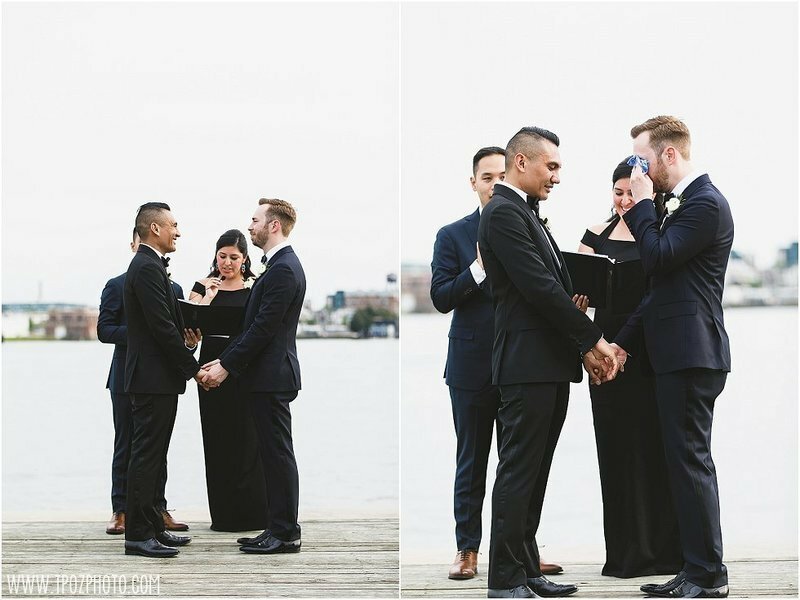 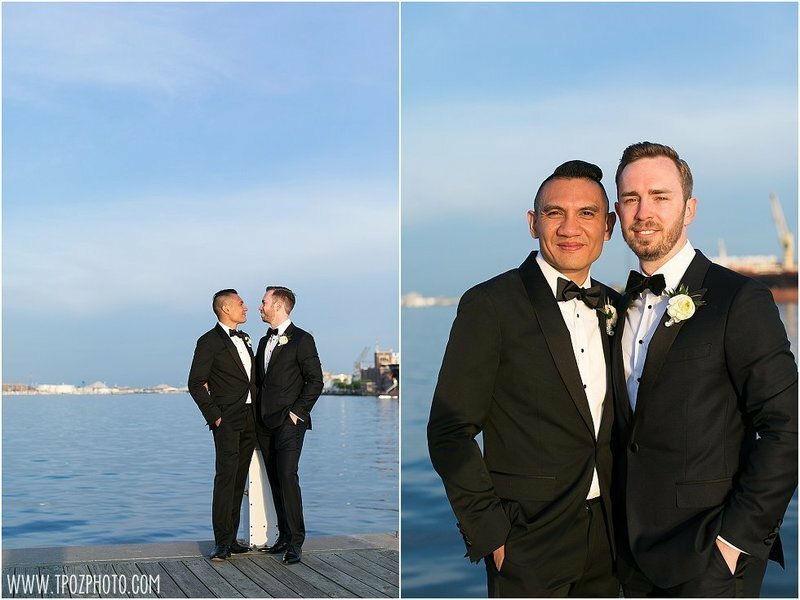 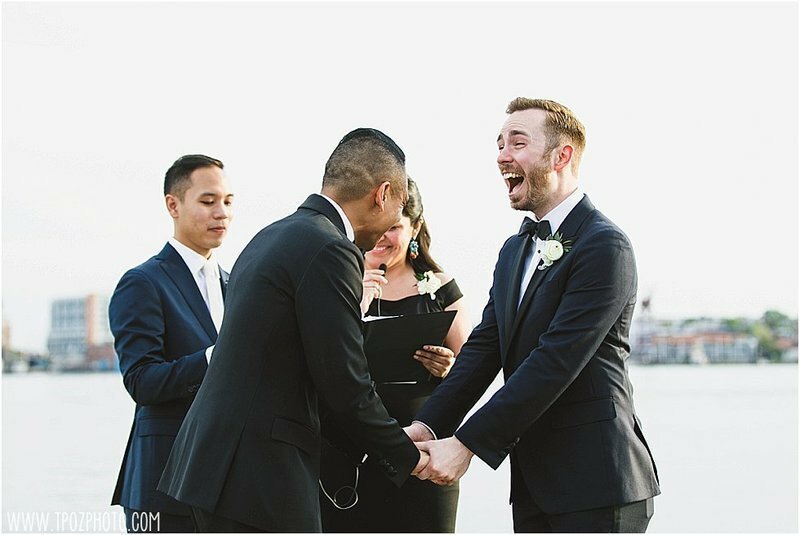 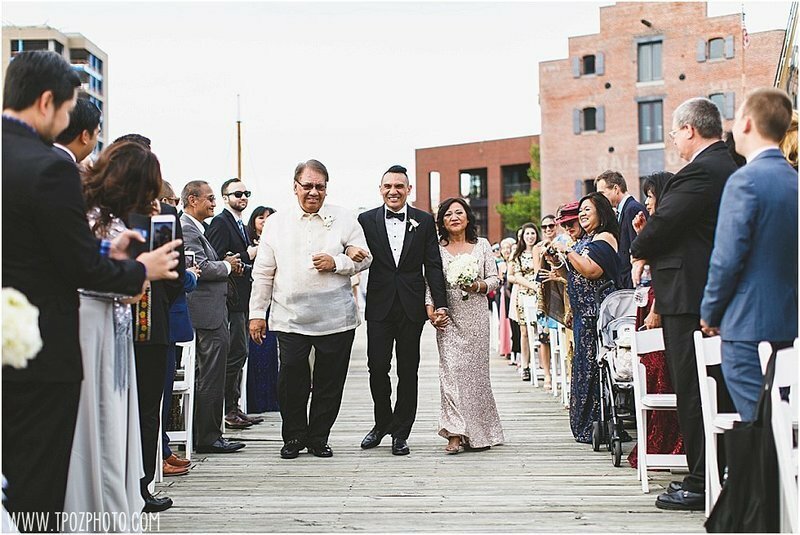 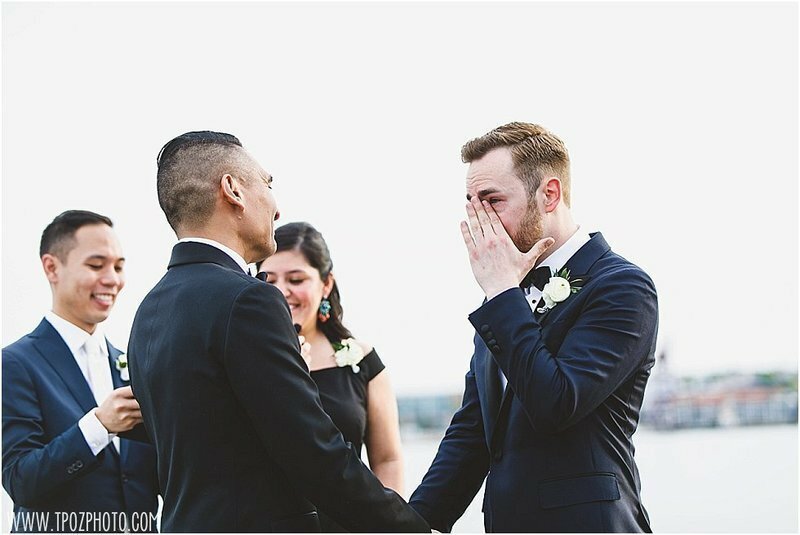 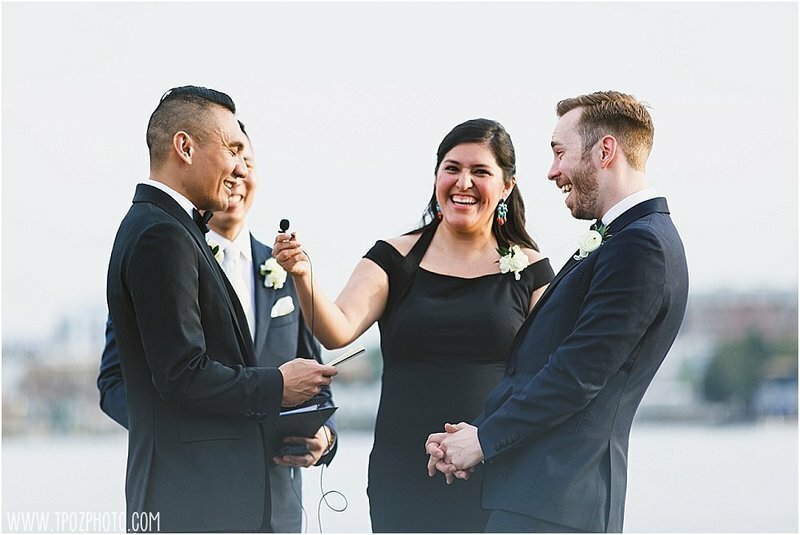 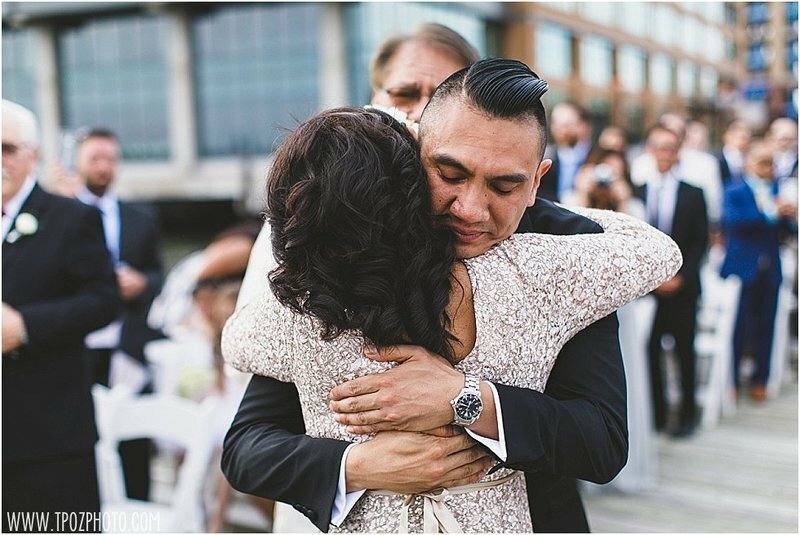 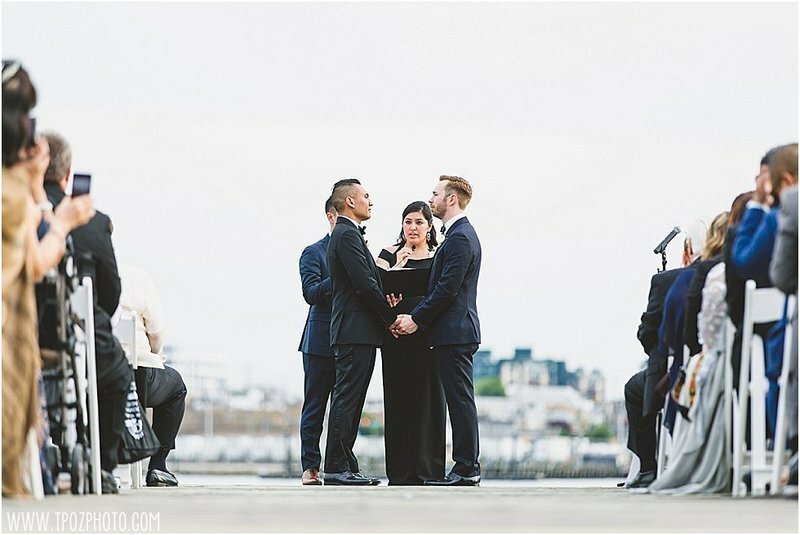 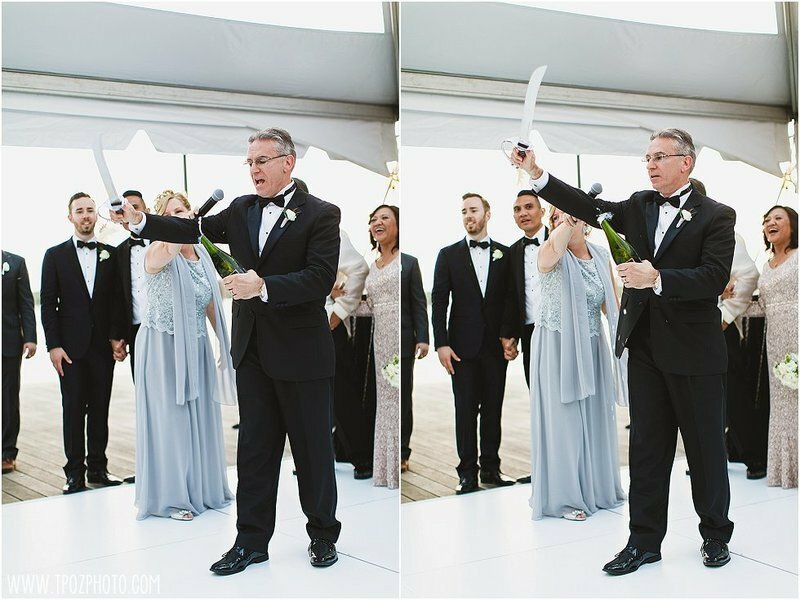 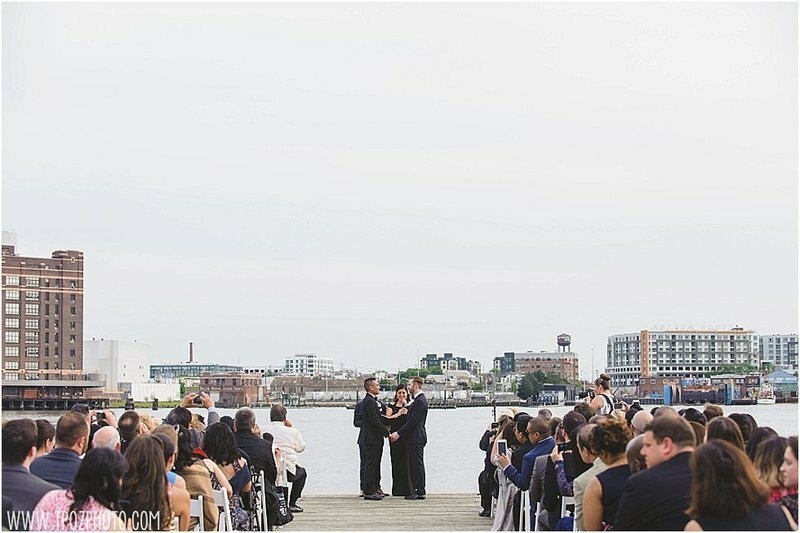 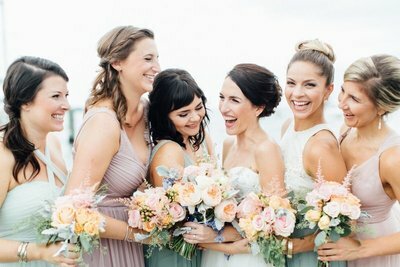 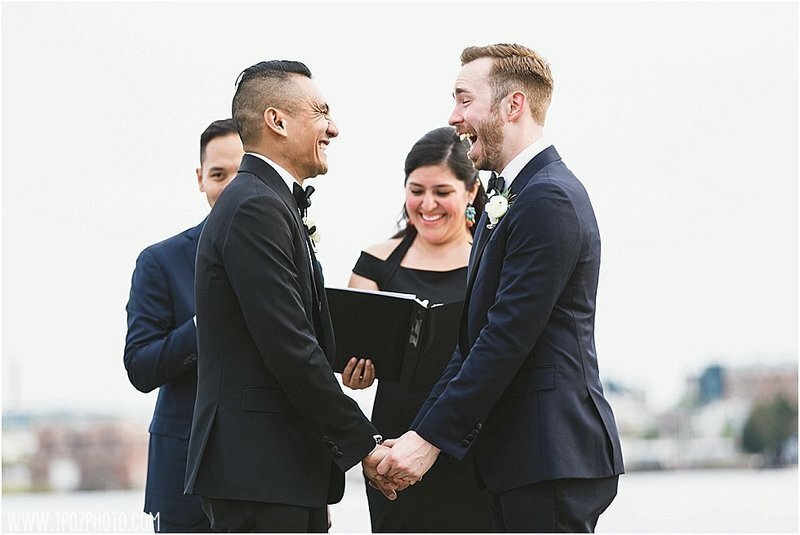 Several friends helped them to officiate their wedding ceremony out on the pier, offering readings, and blessing their marriage. 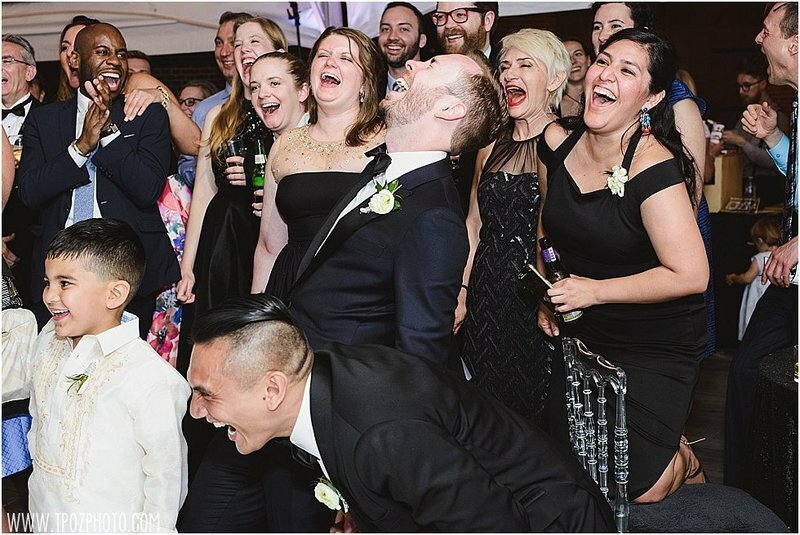 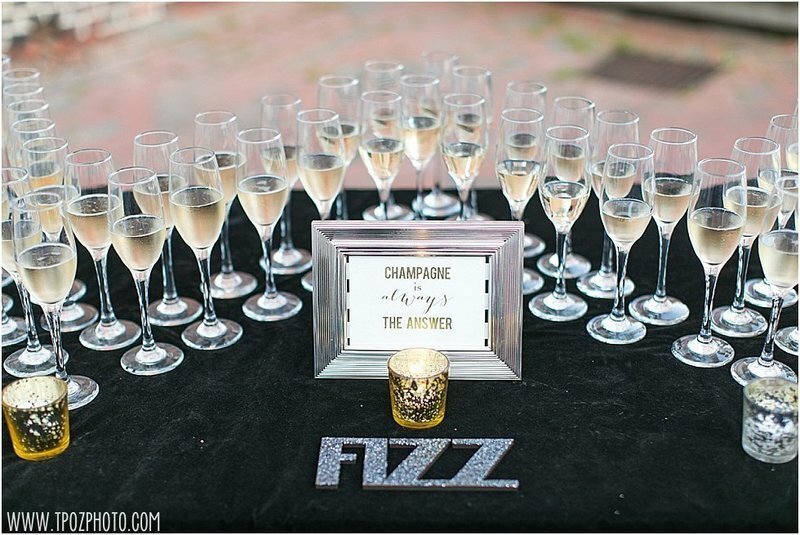 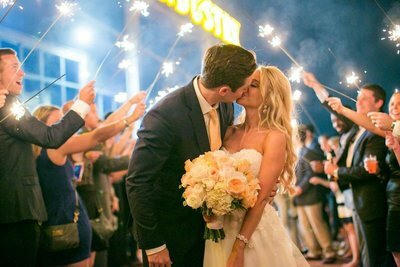 After the ceremony was over, the party was ready to start! 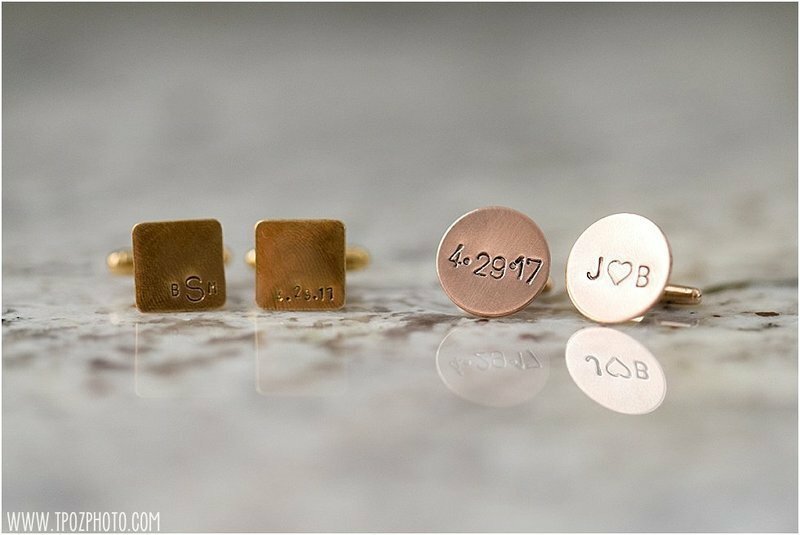 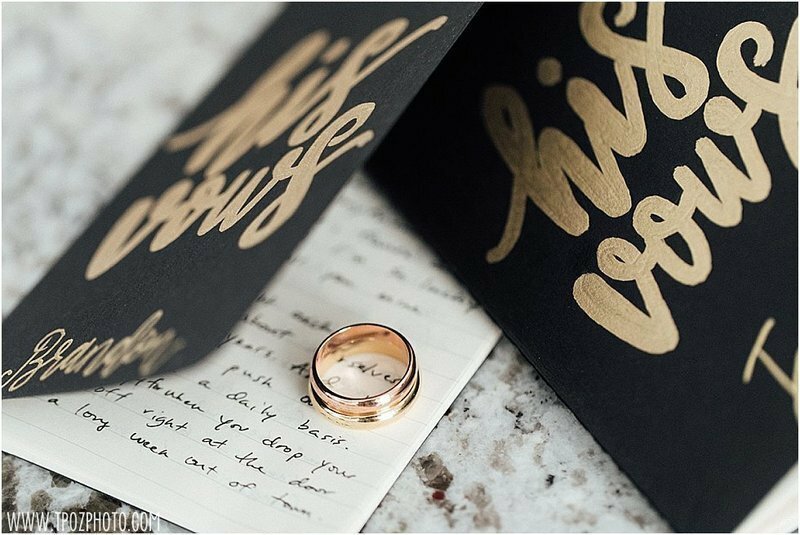 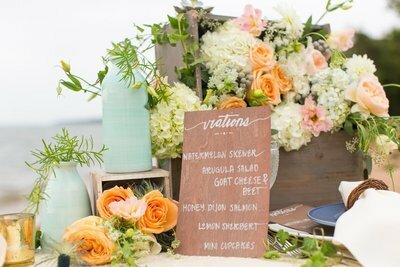 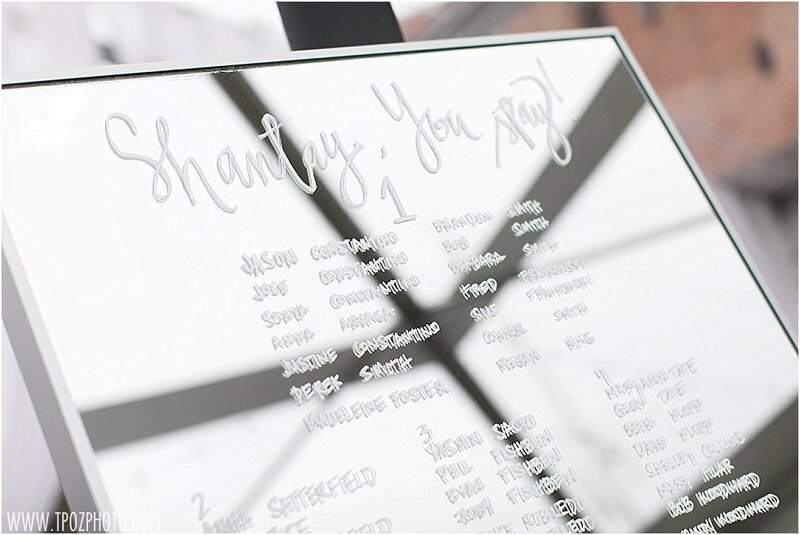 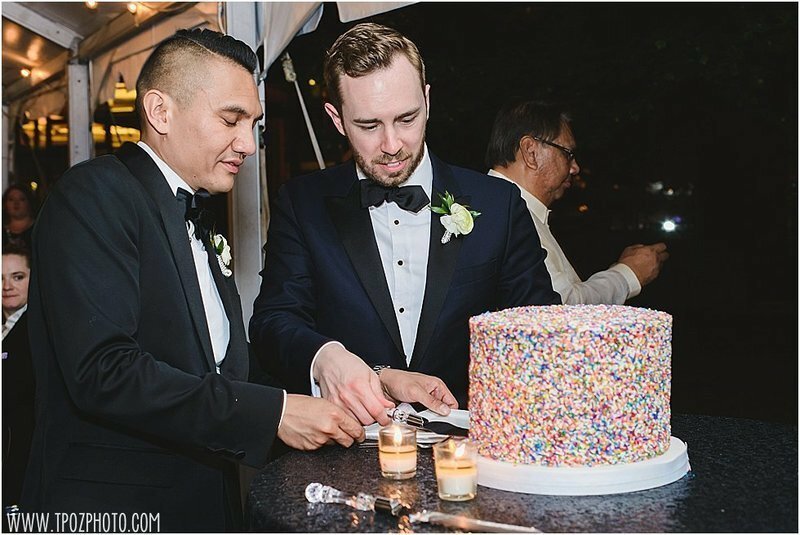 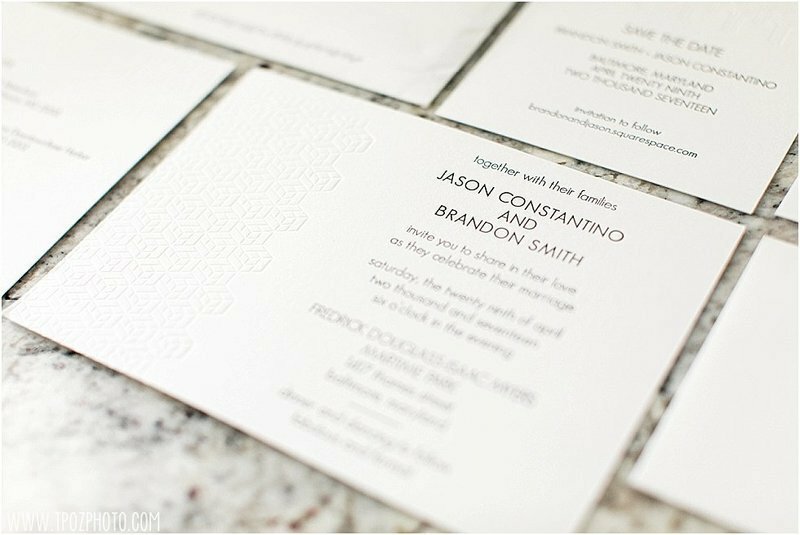 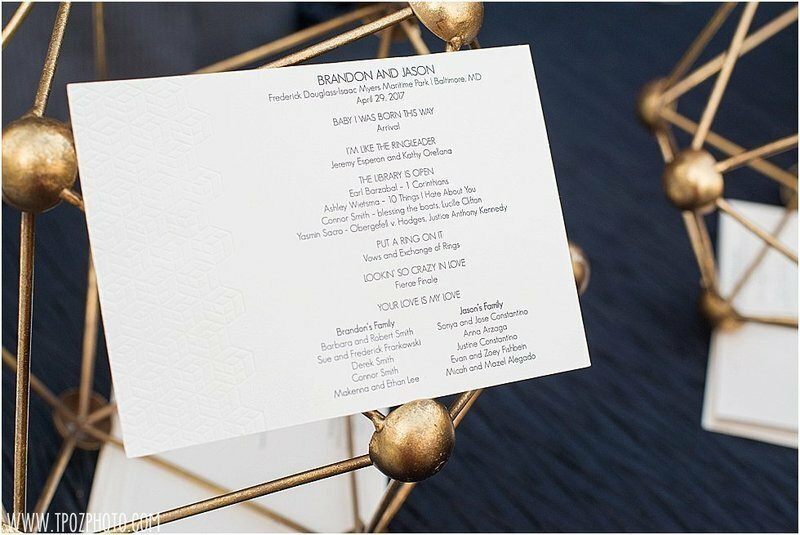 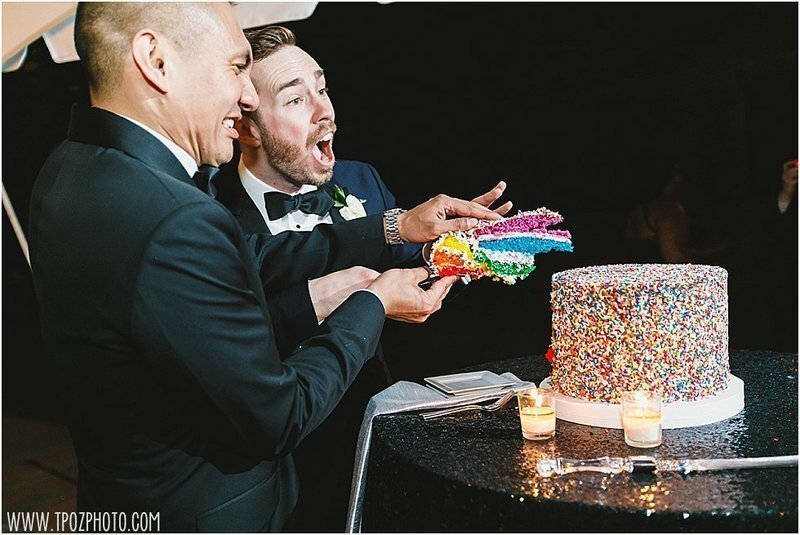 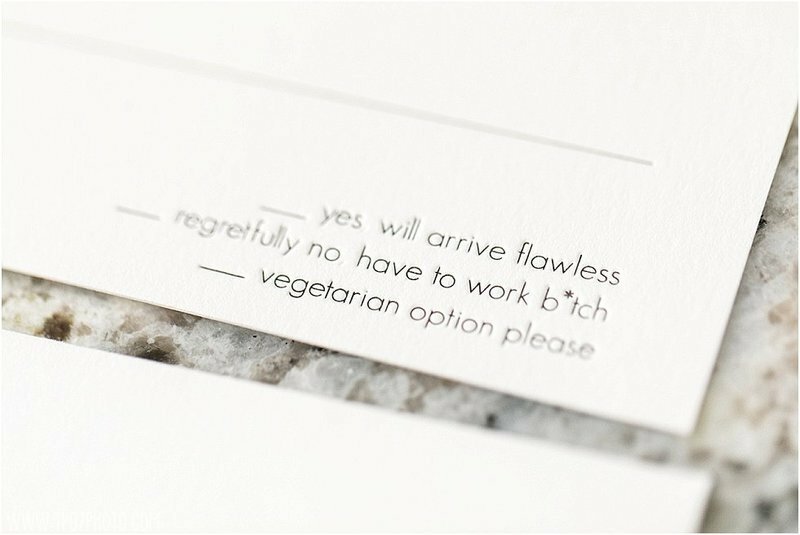 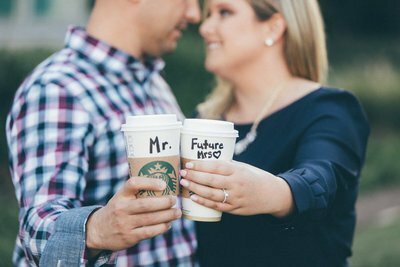 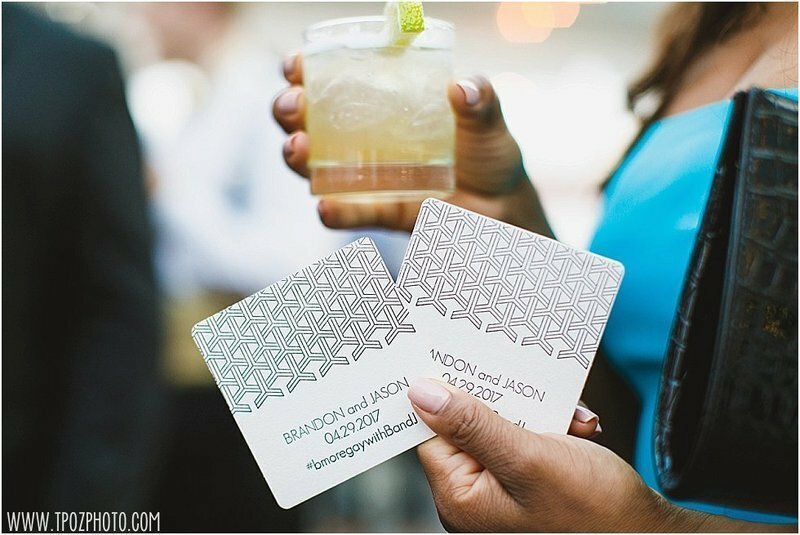 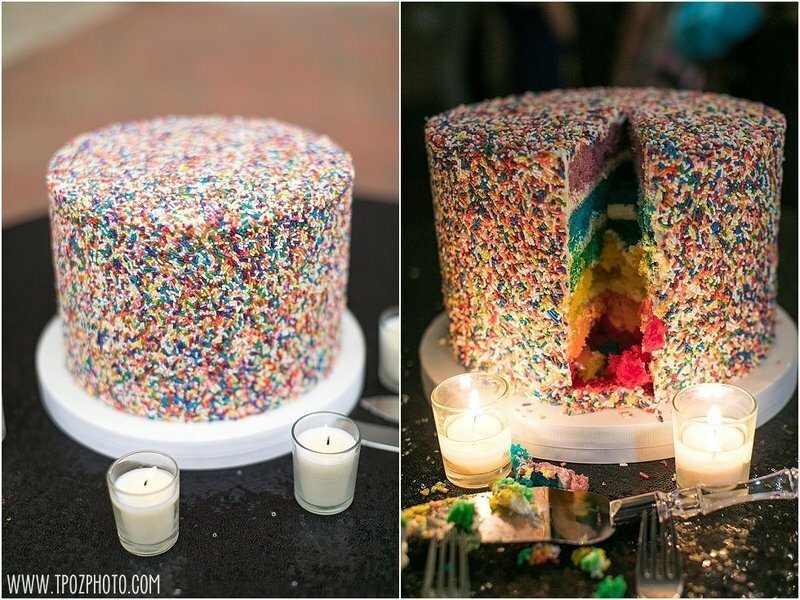 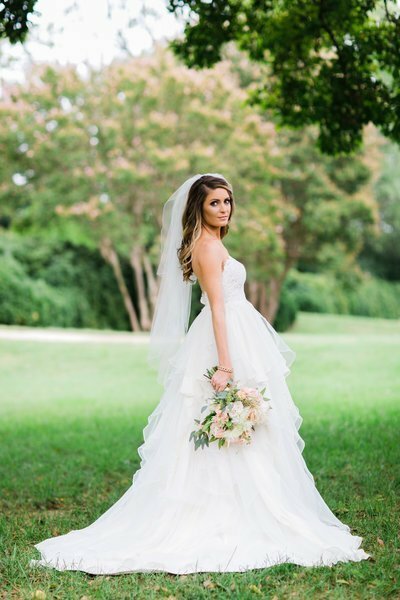 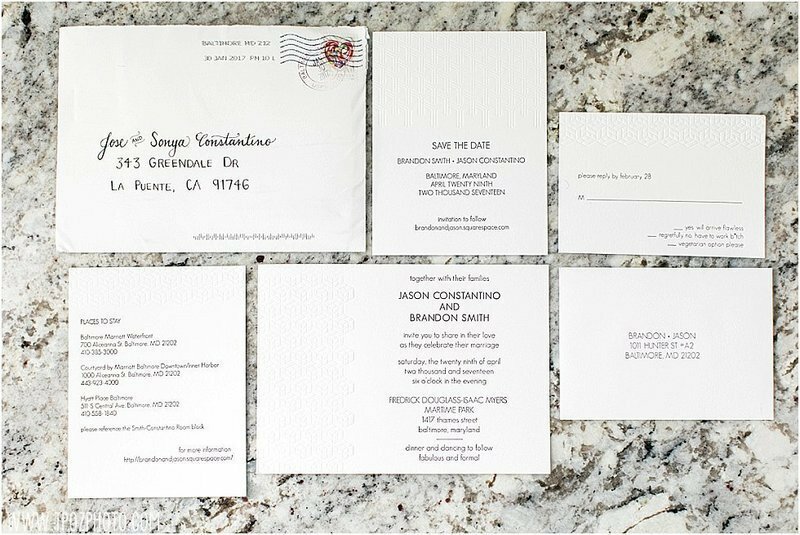 Their details were flawless, and I especially loved their rainbow sprinkle cake, and the RSVP card (Jason learned how & letterpressed the invitation suite!) 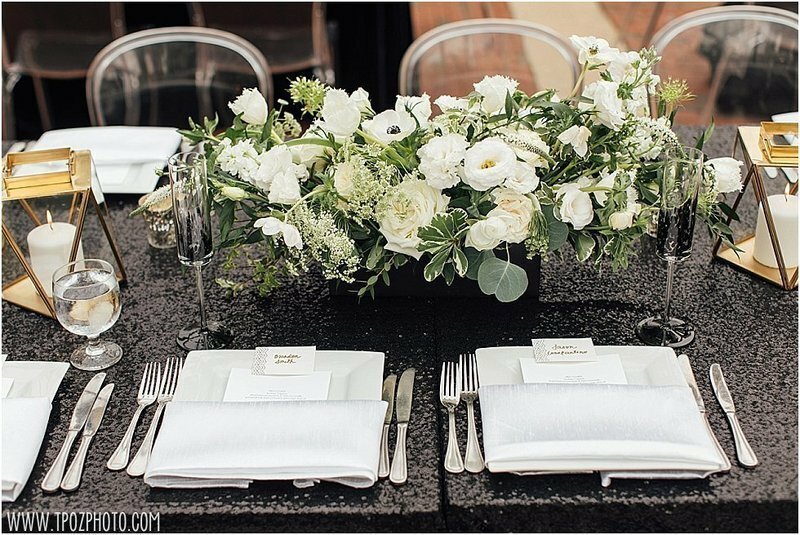 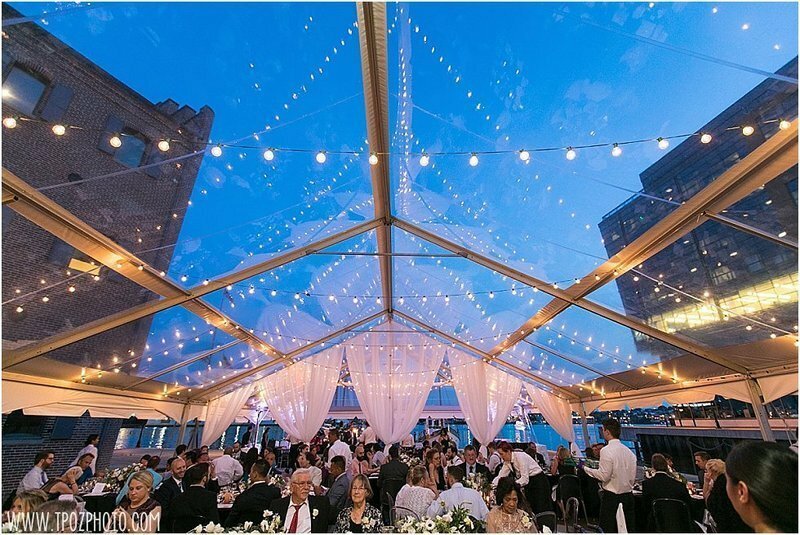 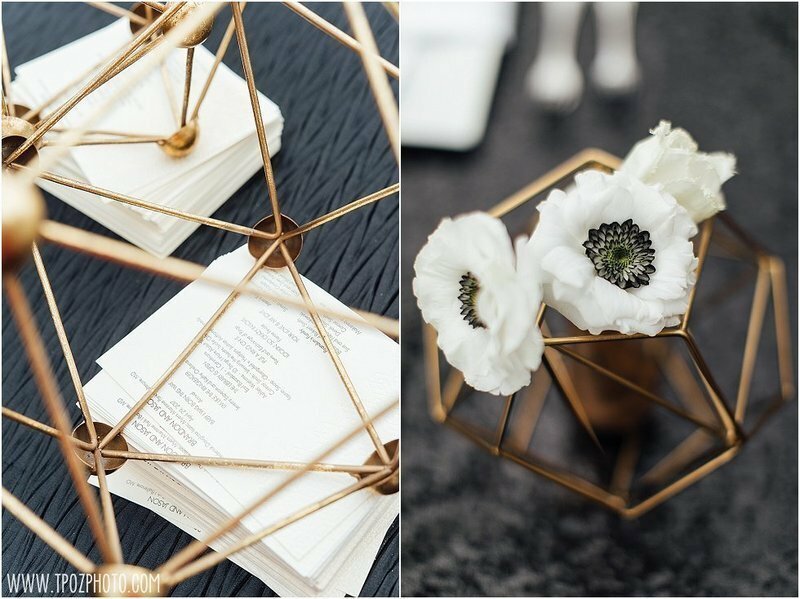 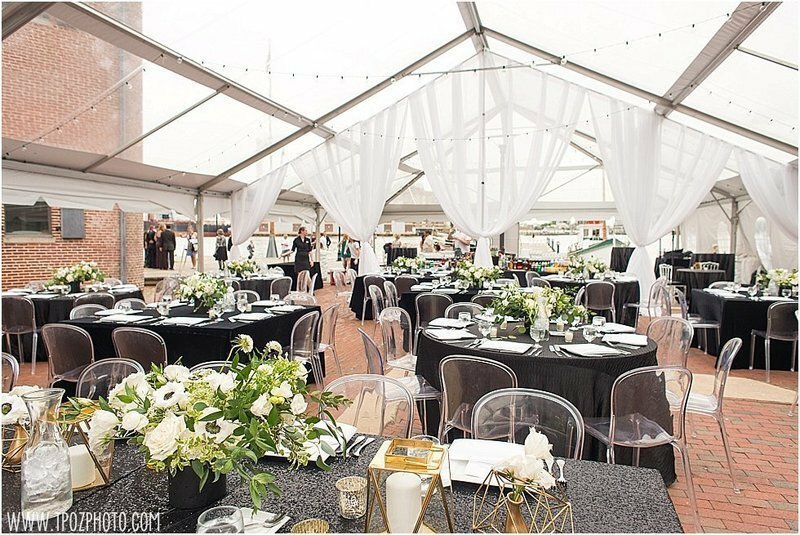 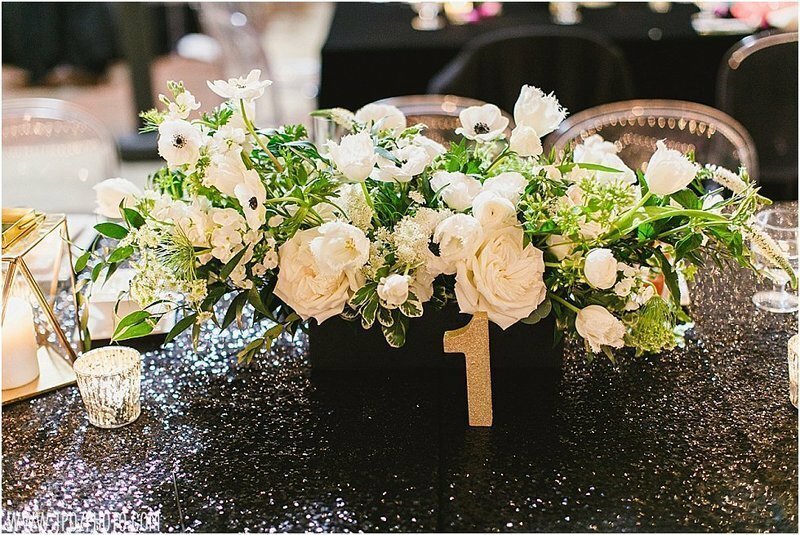 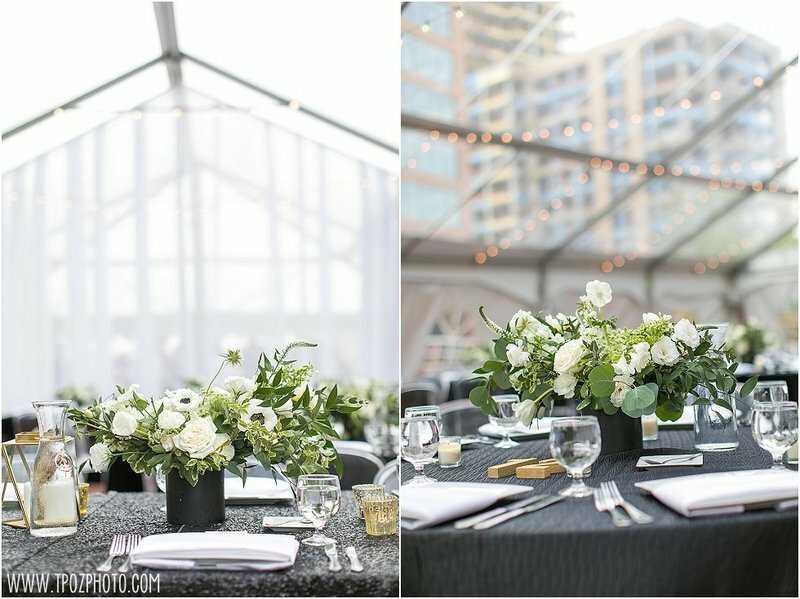 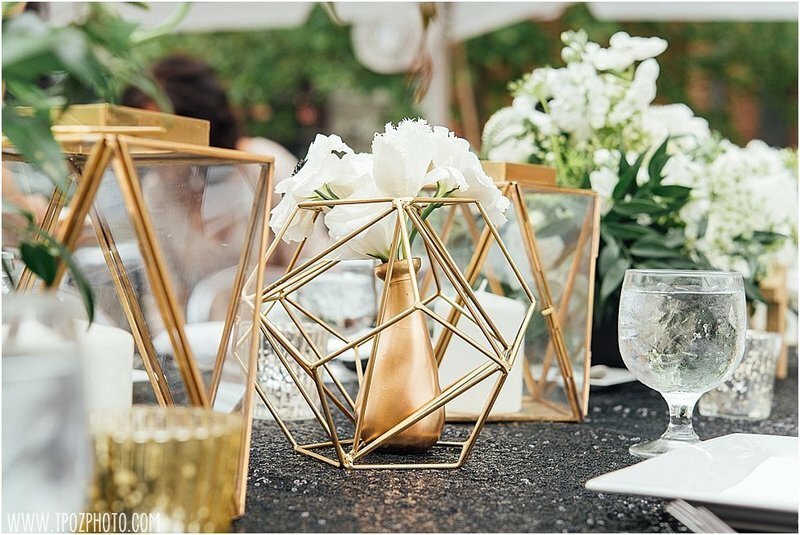 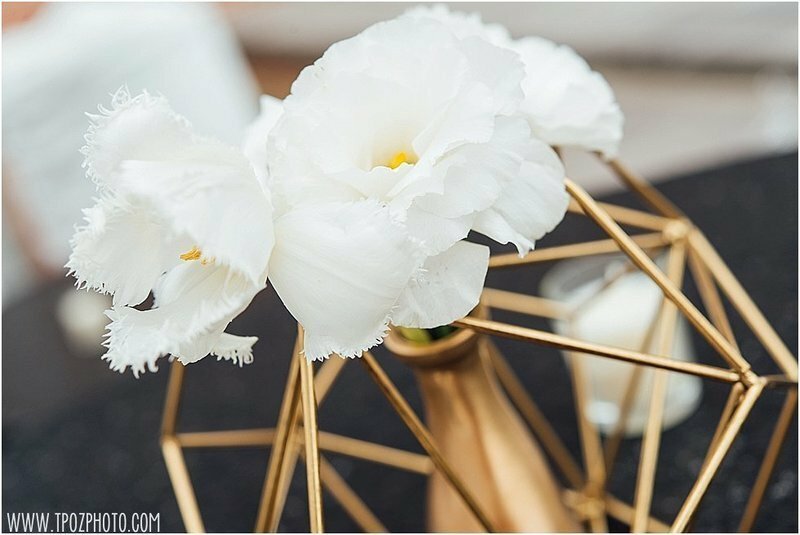 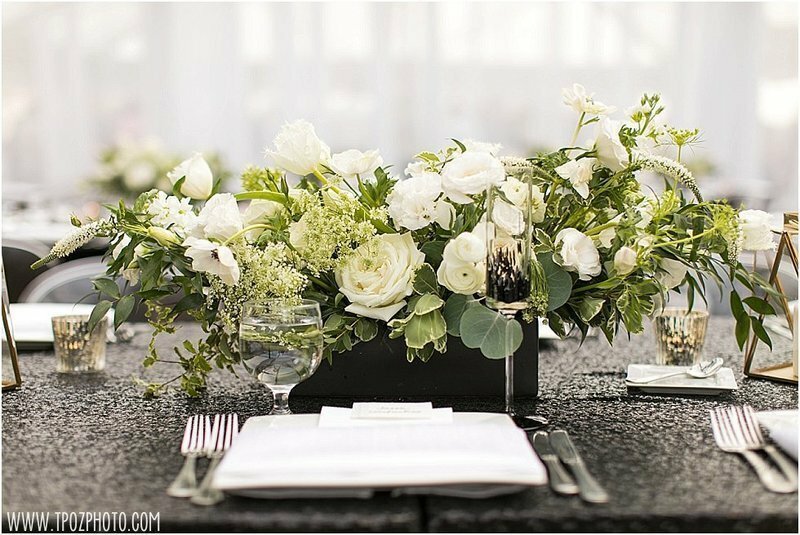 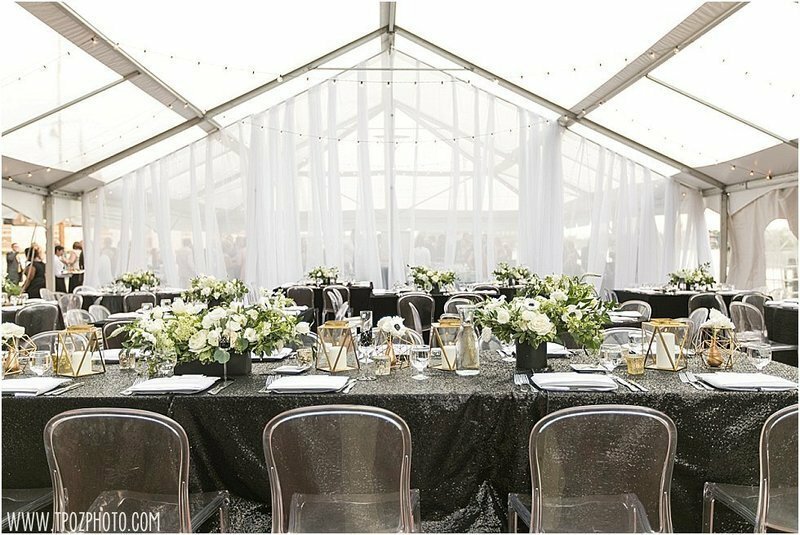 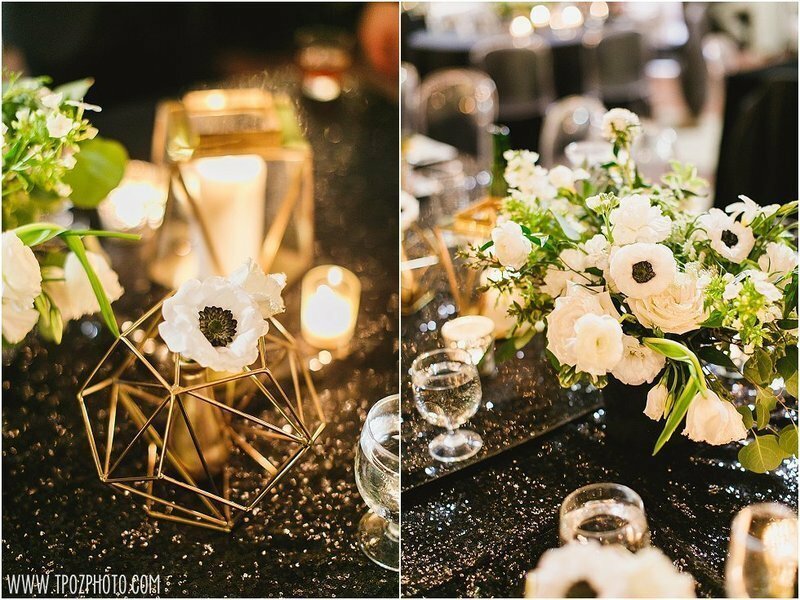 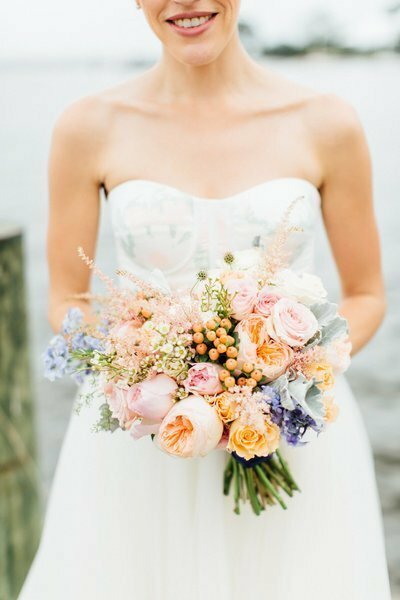 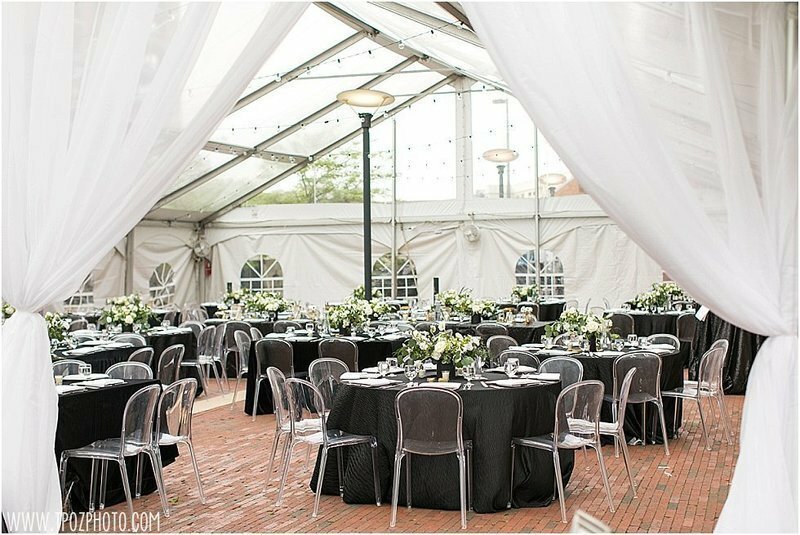 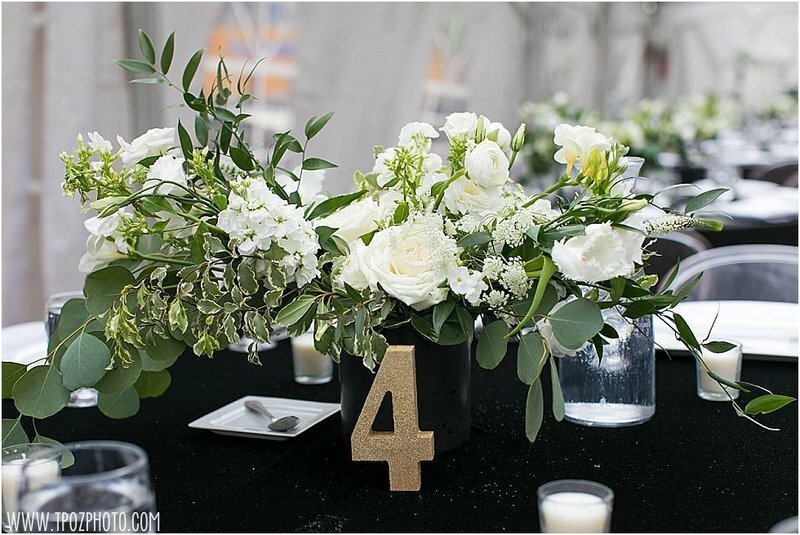 Charlotte Jarrett Events pulled together a stunning array of florals, and everything under the clear tent was simply picture perfect!